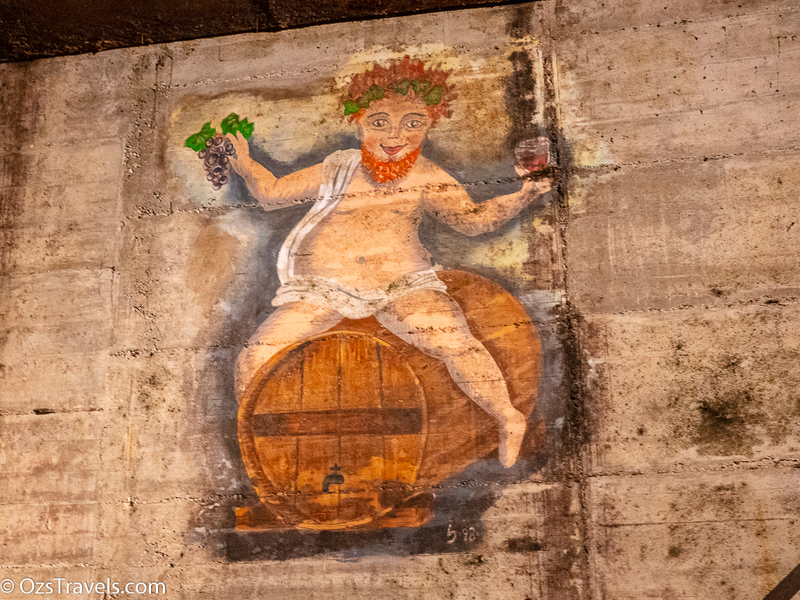 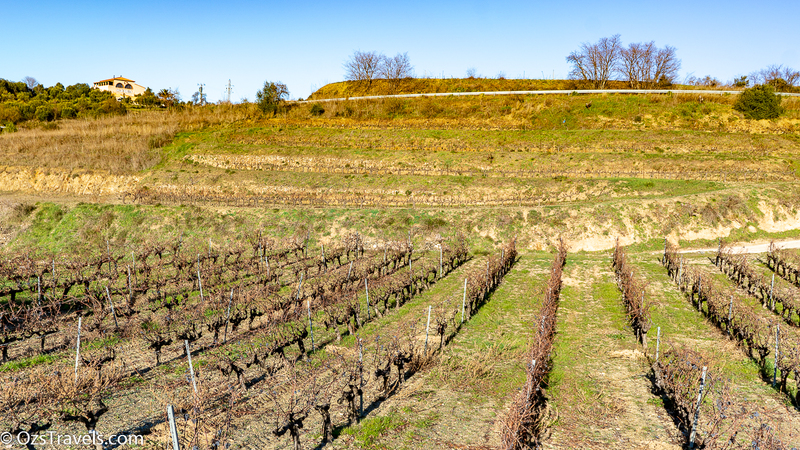 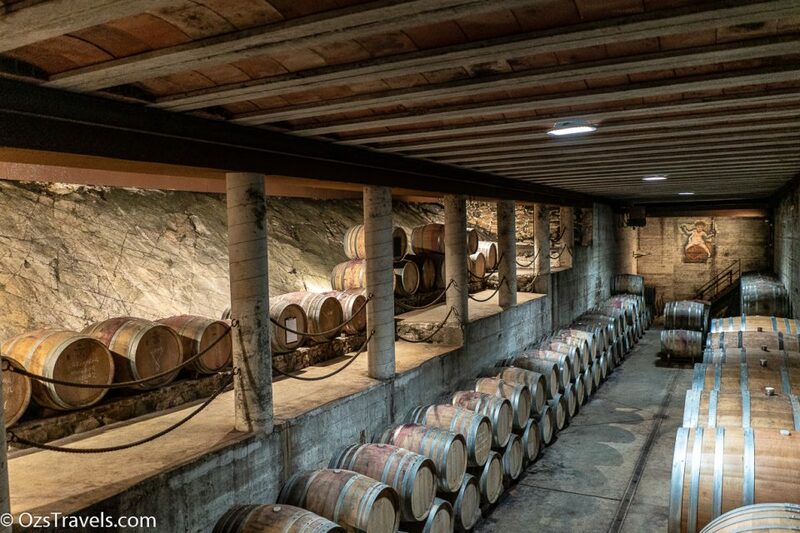 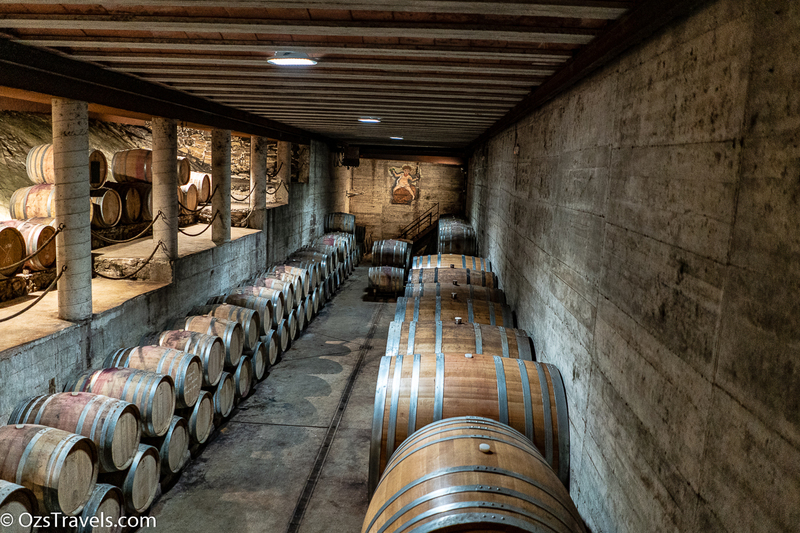 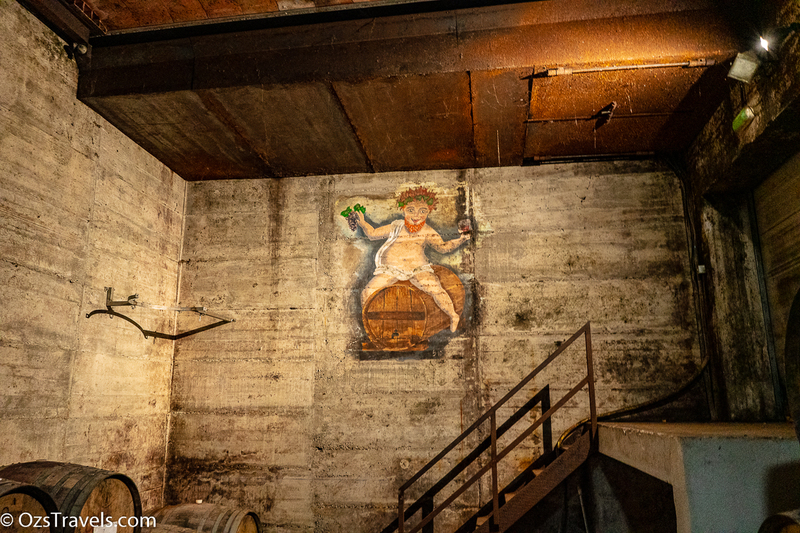 Clos Mogador is the consequence of many generations. 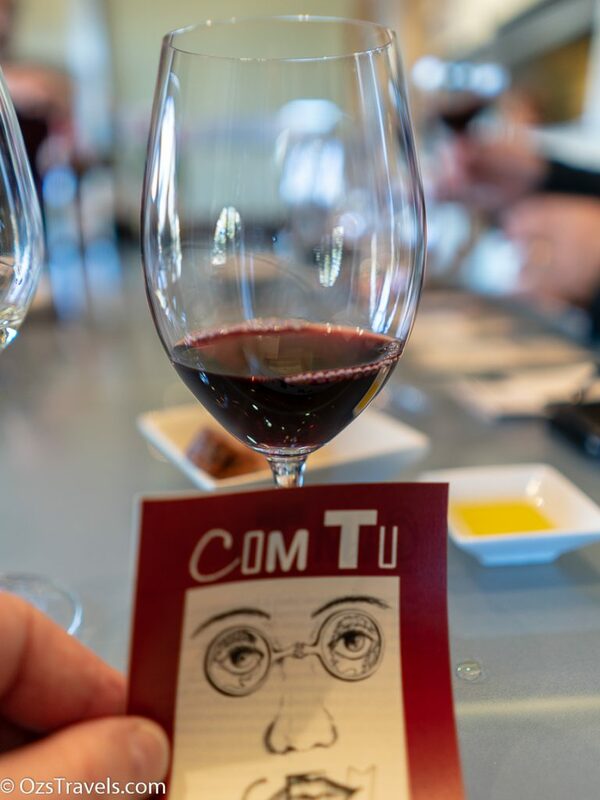 These generations have been passionate, have lived the moment with a keen sense of intuition, and have enjoyed many experiences and emotions. 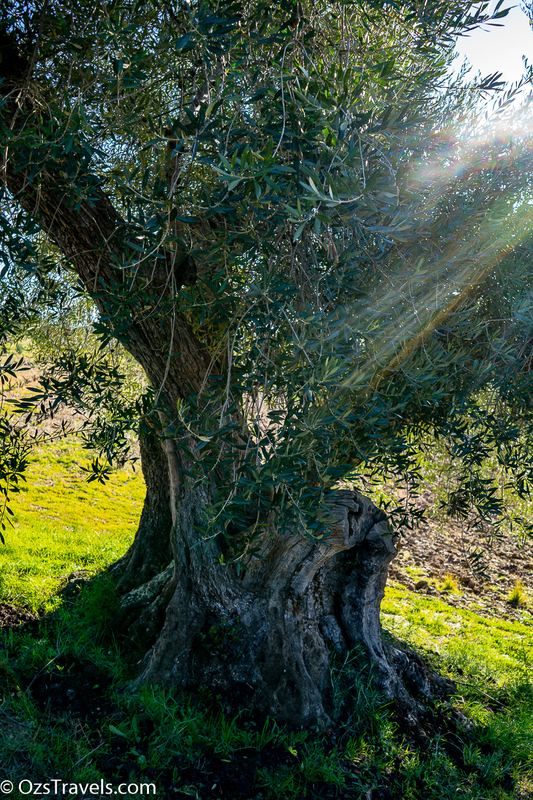 Great-grandparents, grandparents, parents, ourselves, our children and our grandchildren-all of us have enjoyed, we still enjoy and continue to enjoy the beauty and fragrance of wild rosemary, mixed with the scent of thyme and lavender. 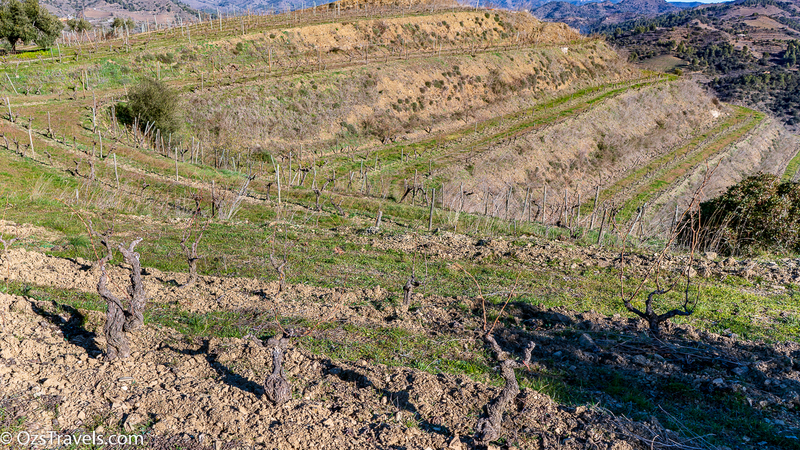 We smell the soil after rain and the clay, baked hard in the summer months when rain is scarce. 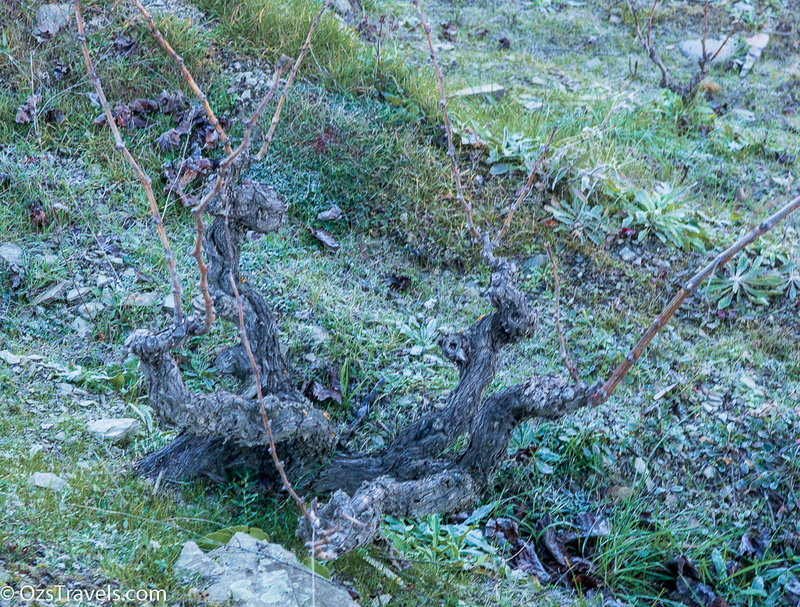 The rocks are heated by sunlight, an intense smell mixed with the scents of spices and ash from burning the branches during winter pruning. 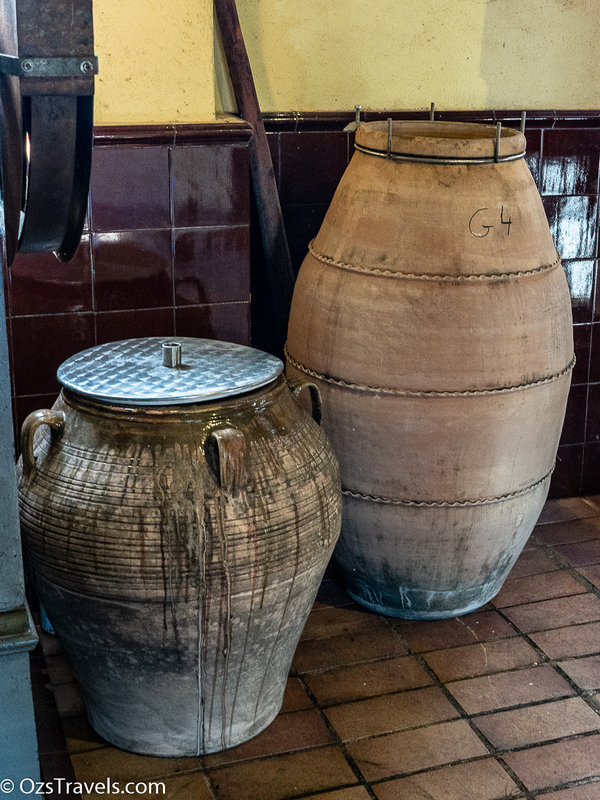 We live with slow buzzing bluebottles at harvest time, the cicadas sing song and on a cool night, the frogs sing heartily, joining in with the crickets. 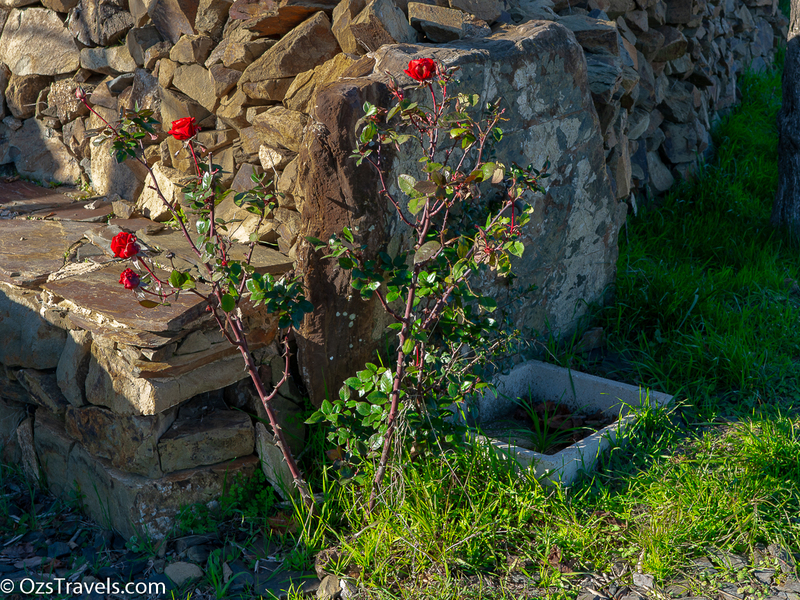 Spring flowers and we awaken to birdsong. 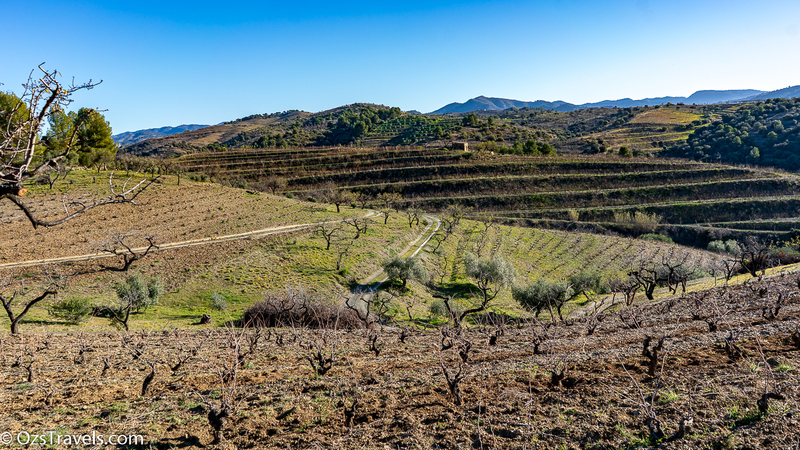 The birds, in their promiscuity, help pollinate and produce new fruits that are harvested. 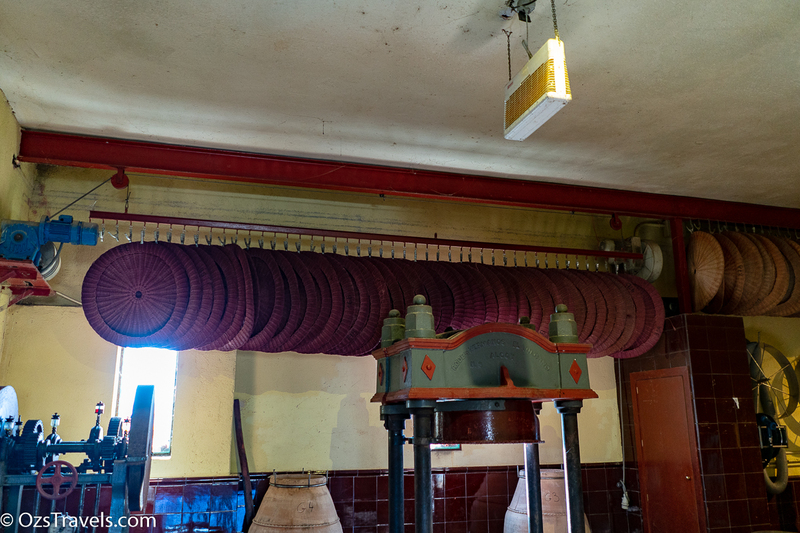 The insects fly from flower to flower, creating unique creatures, fleshy berries with wonderful flavour, and perfume that will never again be experienced. 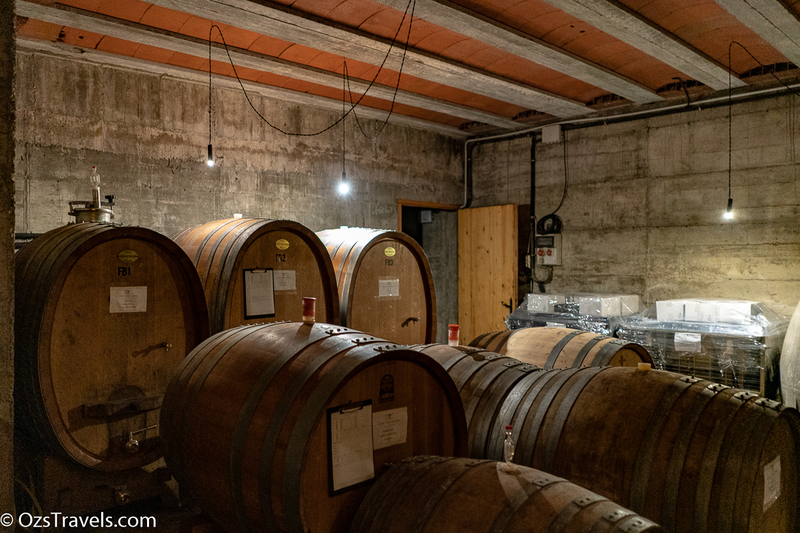 “To make good wine,” says my oldest son, “you have to choose the best grapes, the ones you would eat…” and this cannot be done in large fermentation vats, it has to be done the same way my son once filled his sand bucket, by filling small tanks … After all this, a bottle of Clos Mogador brings us together to share our passion. 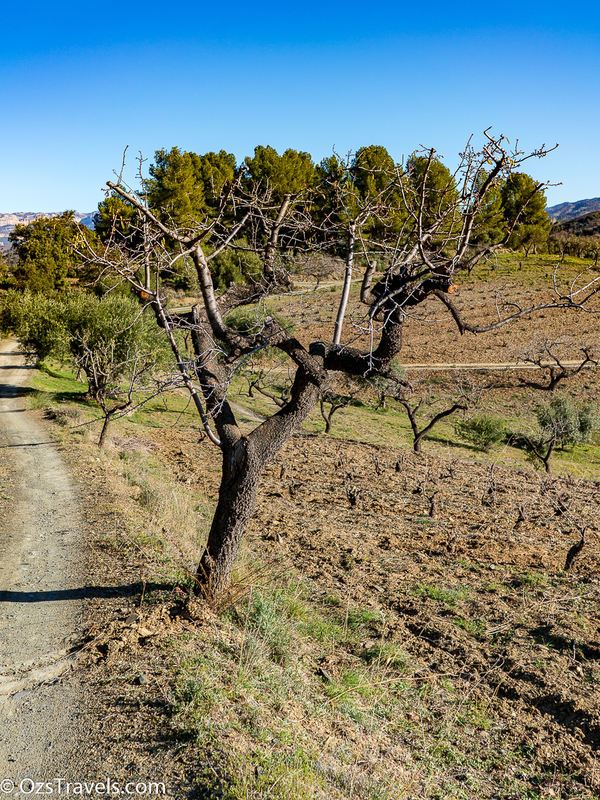 Without realizing it, we have been taken on amazing journeys where we have met new people who fill our hearts with happiness. 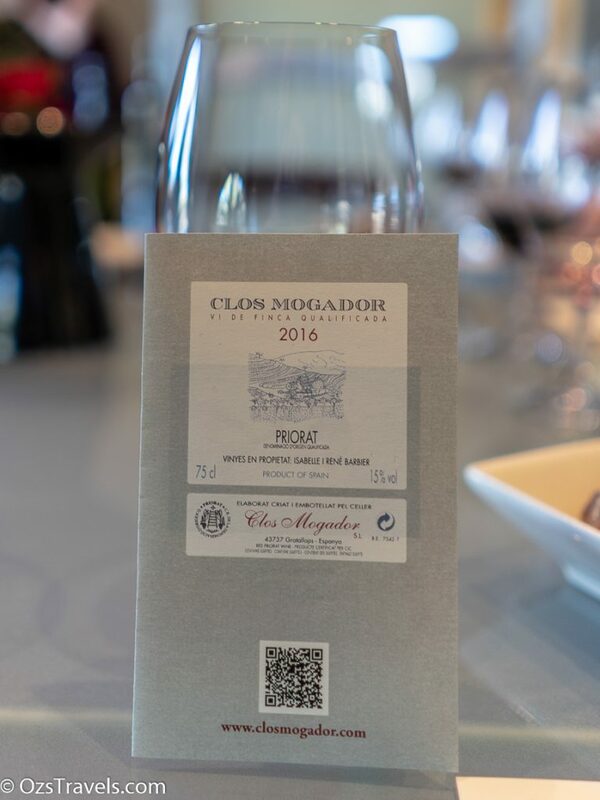 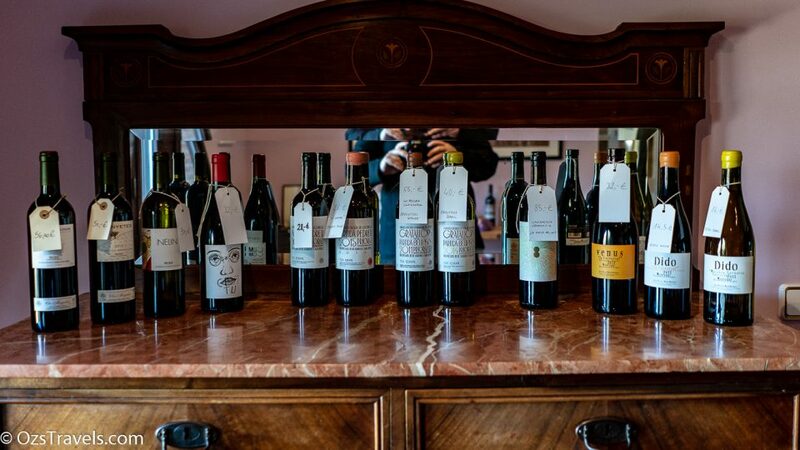 I am reminded of the comments of my youngest son, Anderson, who is thirteen, a comedian, happy, a humanist … He would say with a beaming smile: “many small things in life are beautiful, gather them around you.” And perhaps, at the same time, we will offer you a glass of Clos Mogador. 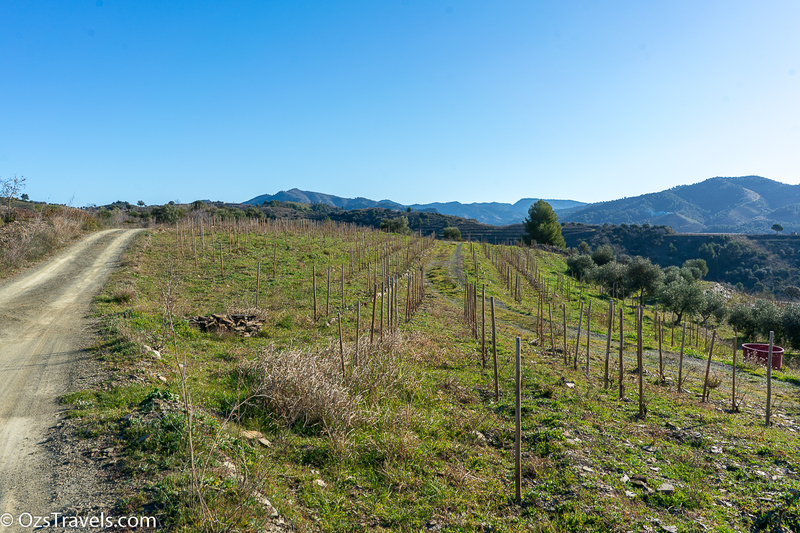 Before we got to taste the wines we went on a tour of the Clos Mogador vineyards. I would definitely recommend booking the tour, especially if you are lucky enough to have Joseph as your guide, he is a bit quirky, very passionate and knowledgeable about the history of the place. 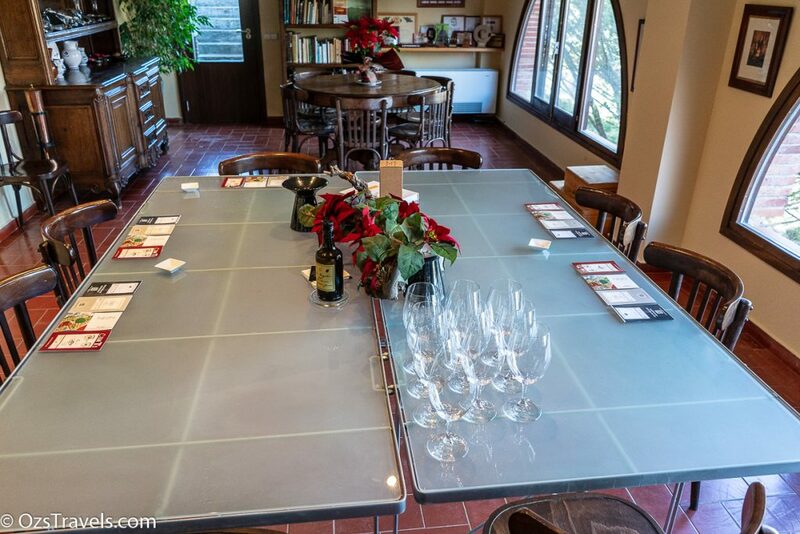 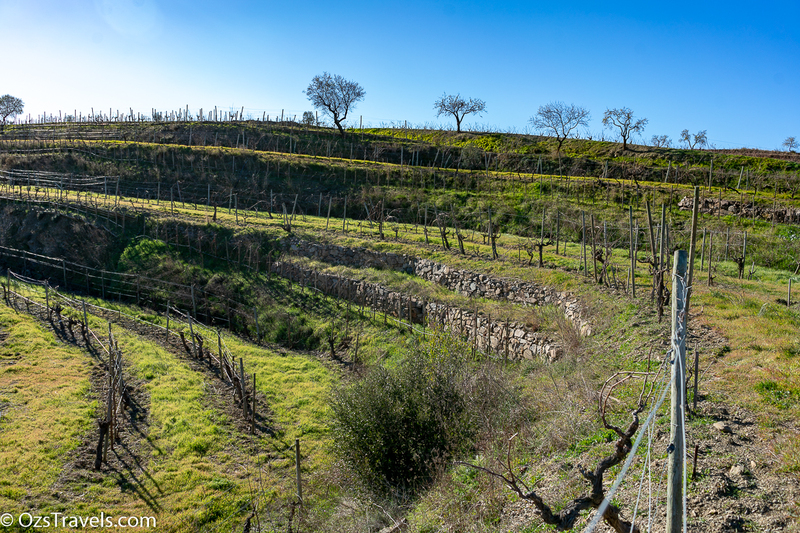 Joseph provided a history lesson about each of the vineyards and the surrounding area. 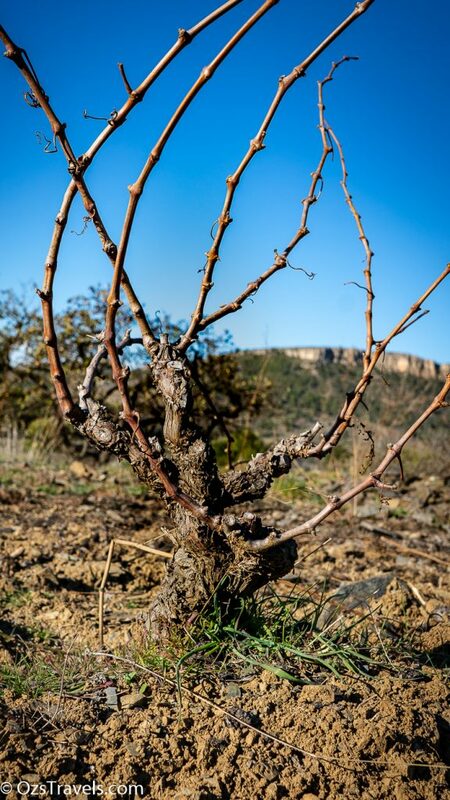 He made it a bit of fun and also explained how the terrior influences the wine and how the vines in Priorat have to struggle to survive due to harshness of the region. 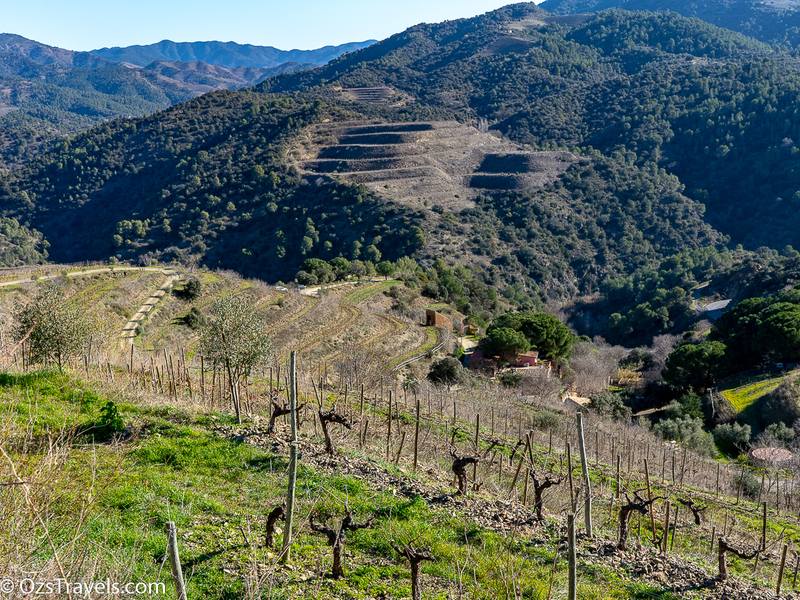 An impact of the Priorat terrior is the need to harvest the grapes in based on height, for want of a better word, and performed by hand. 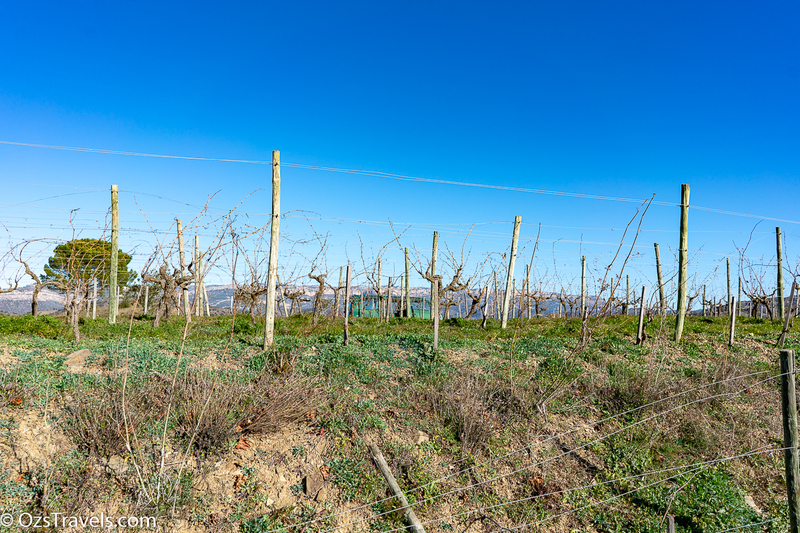 The vines that are higher up ripen earlier than those in the troughs of the various valleys due to these vines getting more sun. 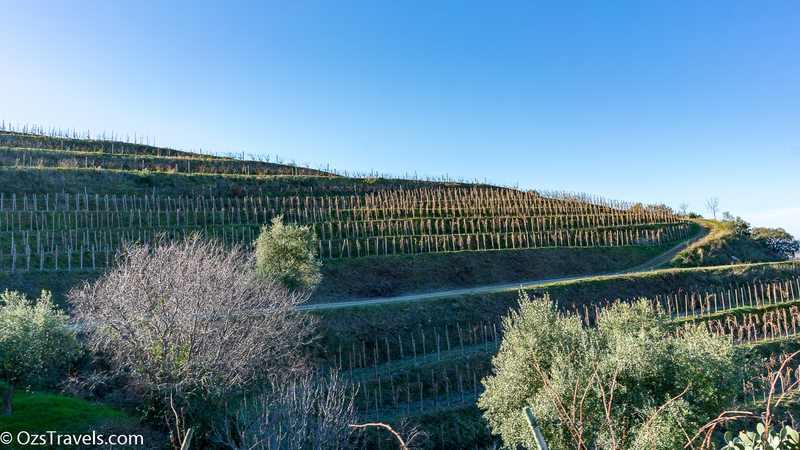 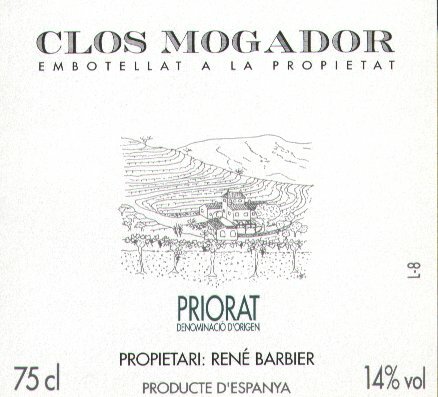 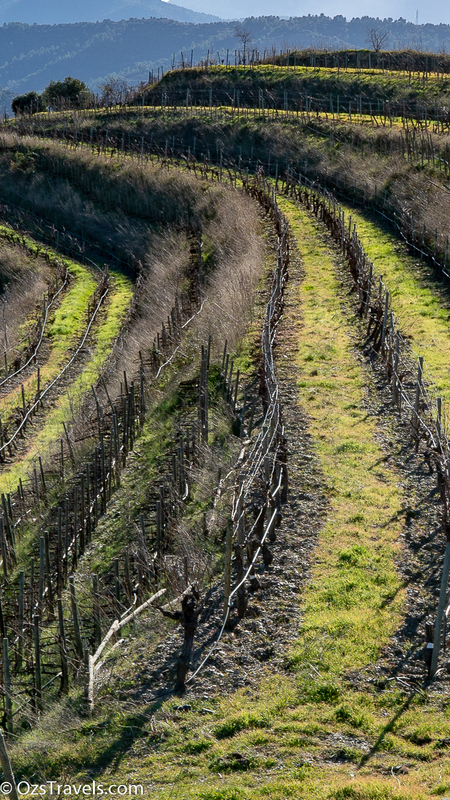 The effect of this is that each of Clos Mogador’s vineyards are not harvested at the same time. 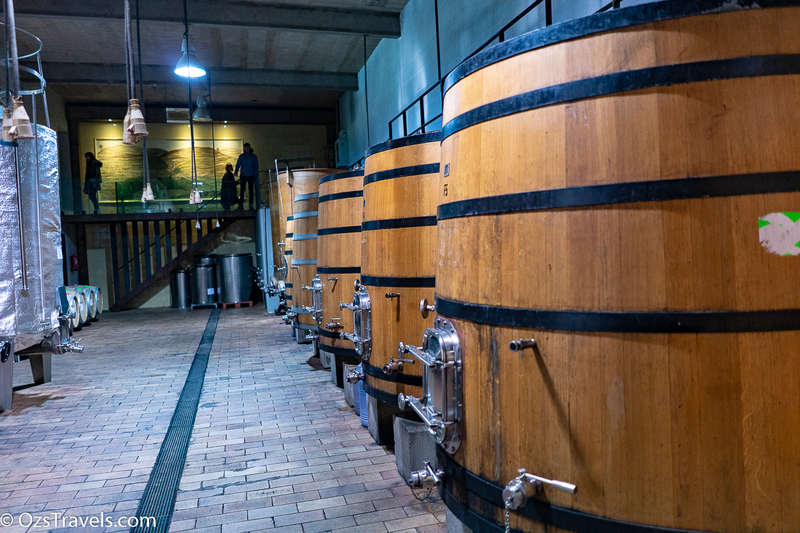 The 8 or 9 winery staff are all that are used to complete the harvest, no outside help. 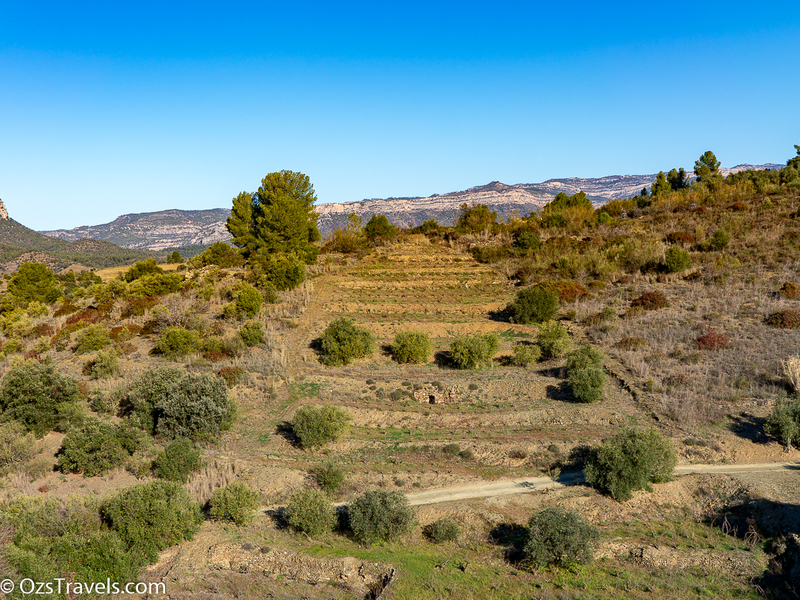 Harvest in Priorat is a challenging time I expect. 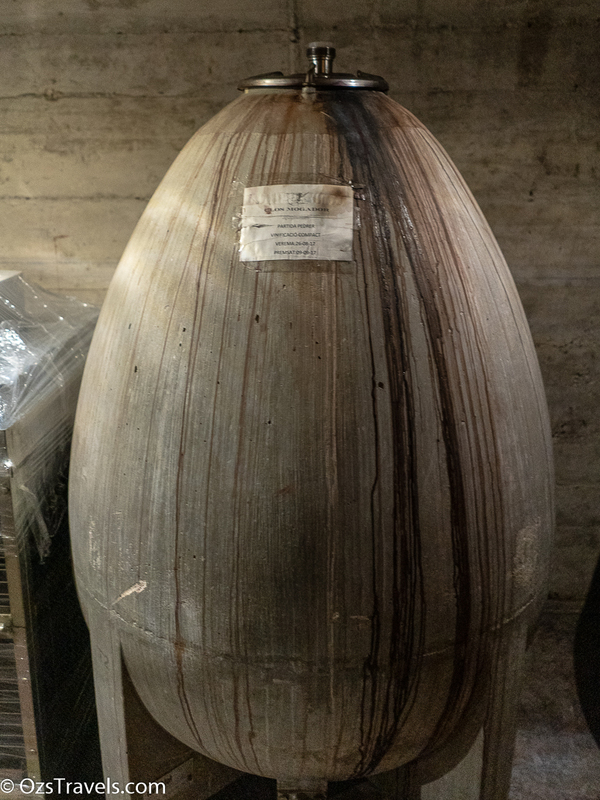 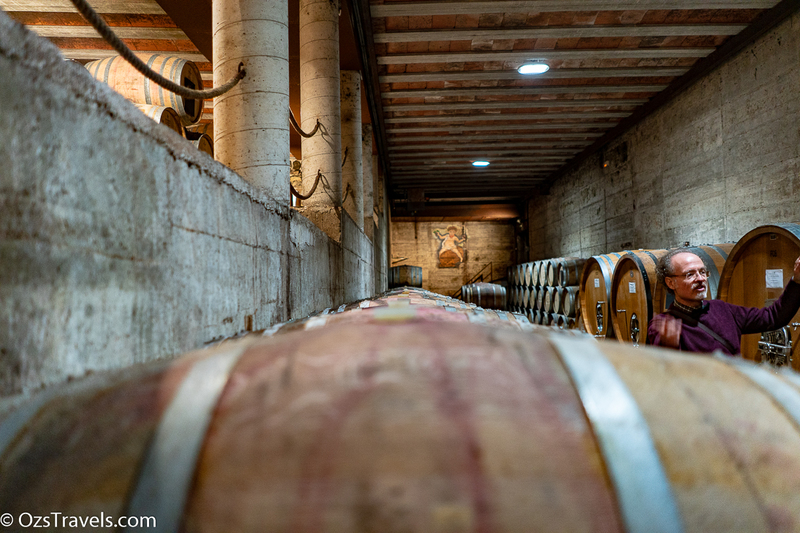 When I last attended a Grosset Dinner, Jeff Grosset mentioned that over the last 30 years that the harvest in the Clare Valley was starting around 30 days earlier than it was 30 years ago. 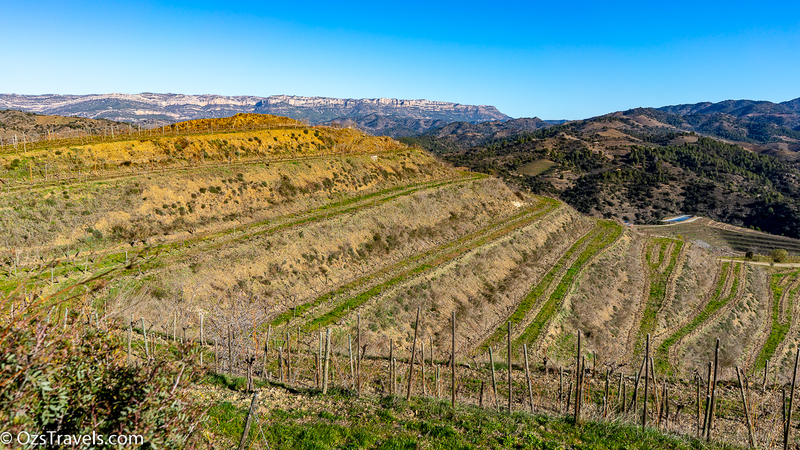 There has been a similar change in their harvest start date in Priorat as well, they start about 5 weeks earlier than 40 years ago. 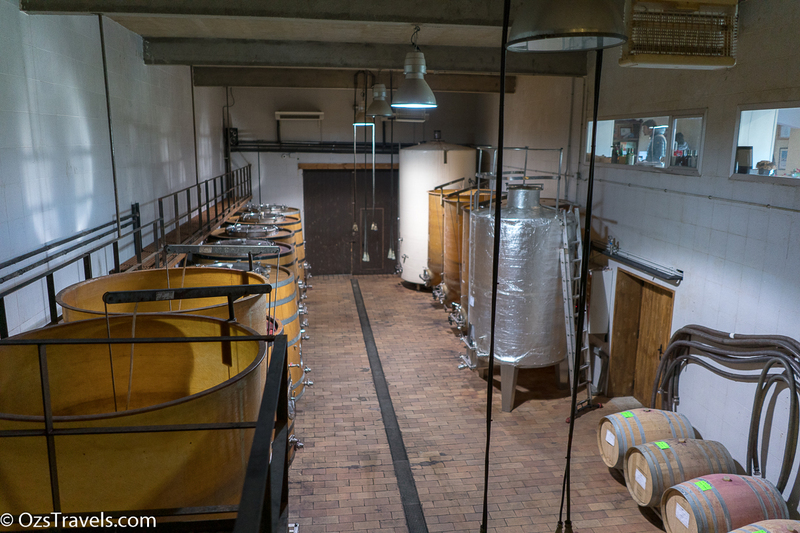 After our tour of the vineyards it was time for a tour of the winery itself. 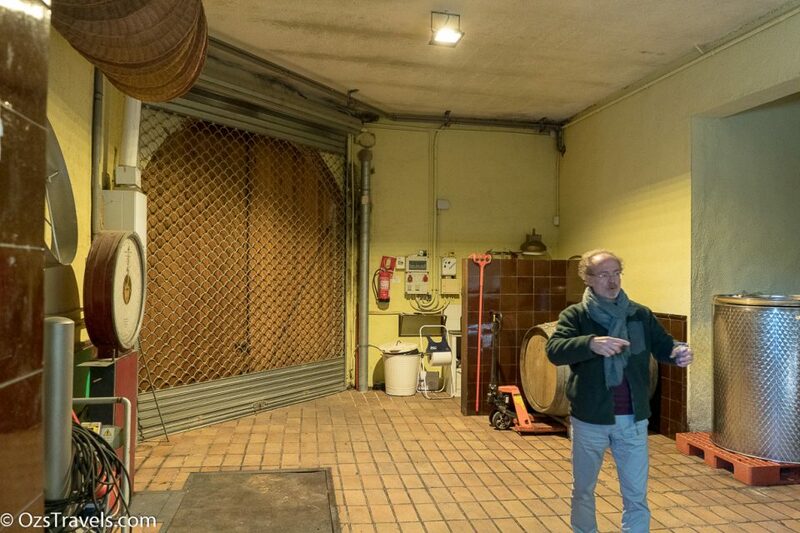 Joseph explained how Clos Mogador produces their wines using fairly traditional methods. 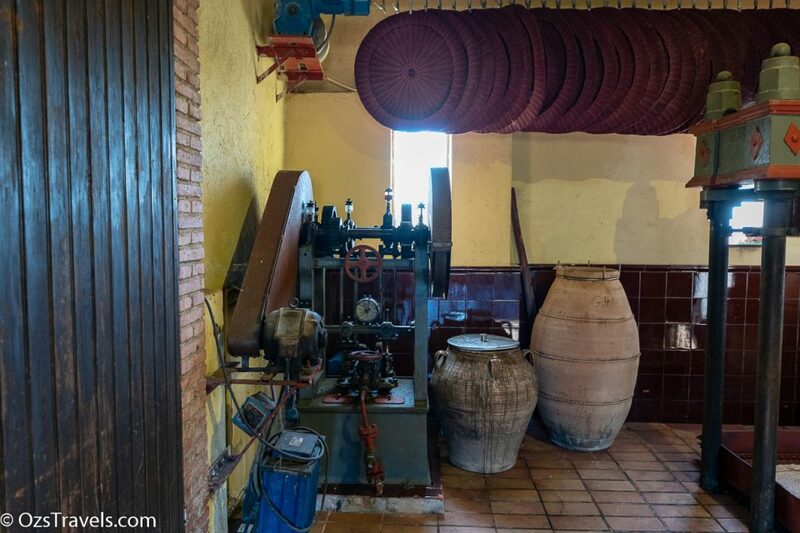 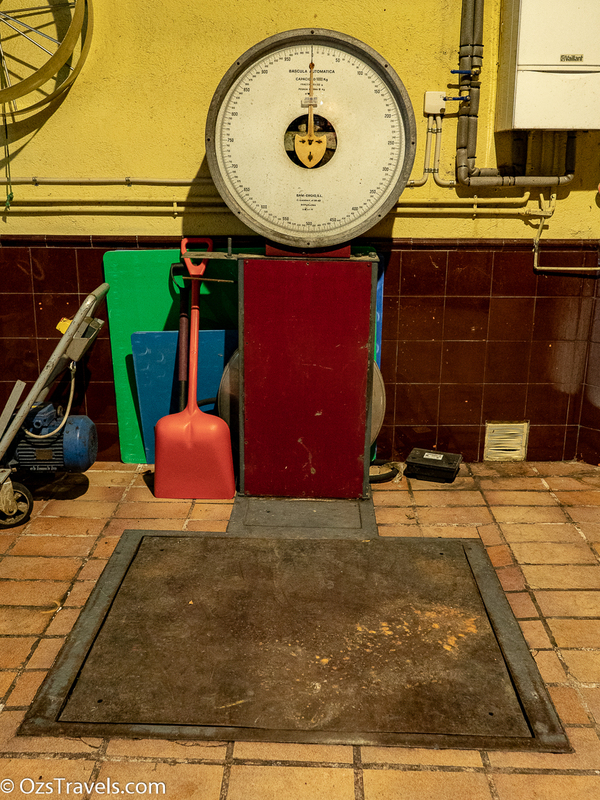 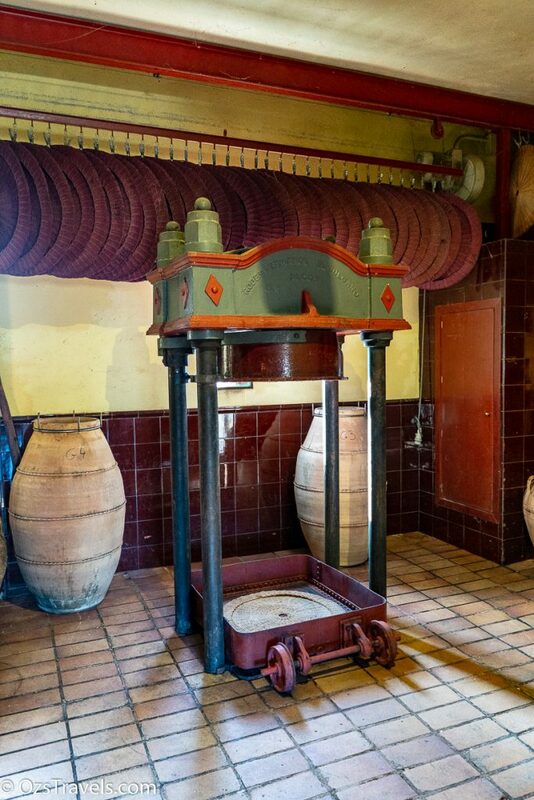 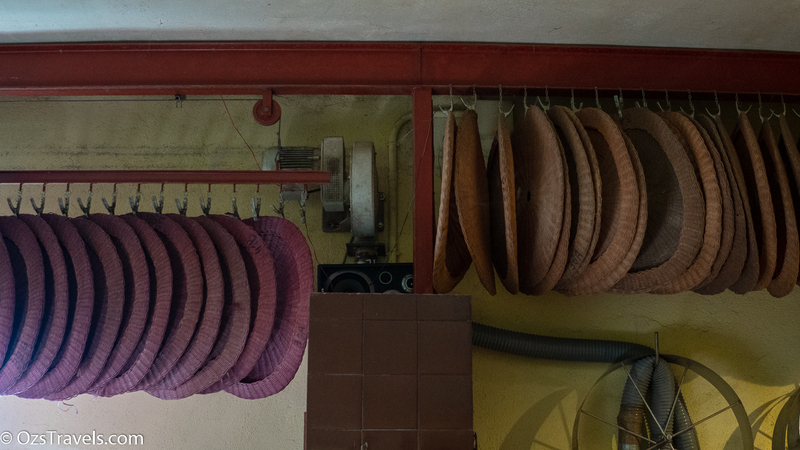 To craft their wines Clos Mogador use fairly traditional methods including a basket press to extract the “nectar of the gods”. 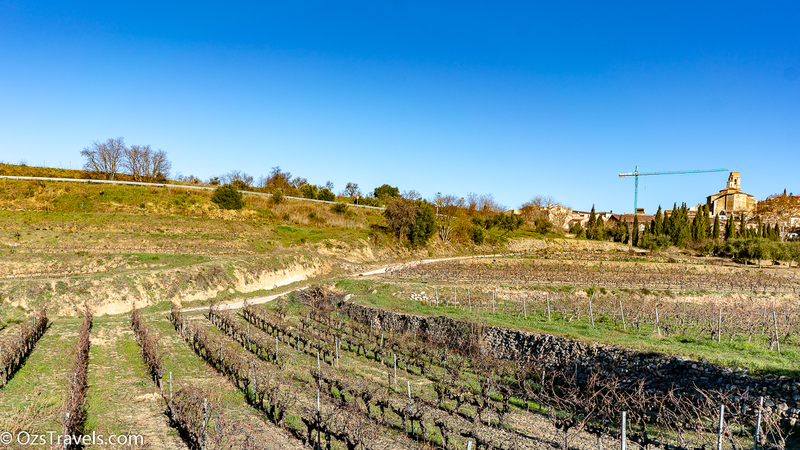 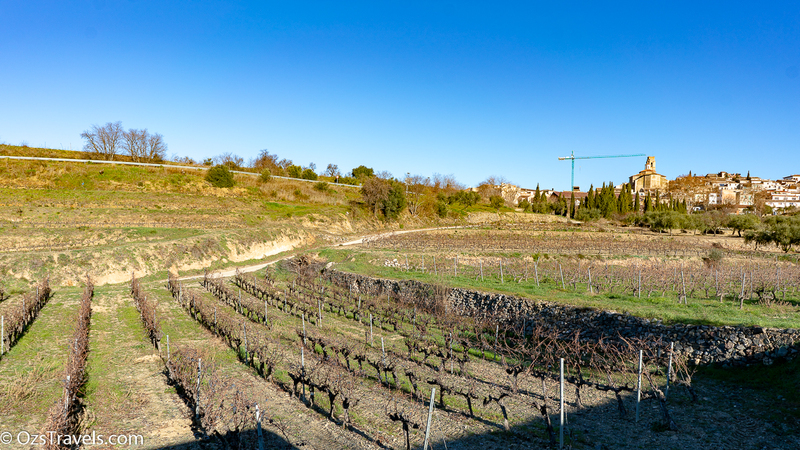 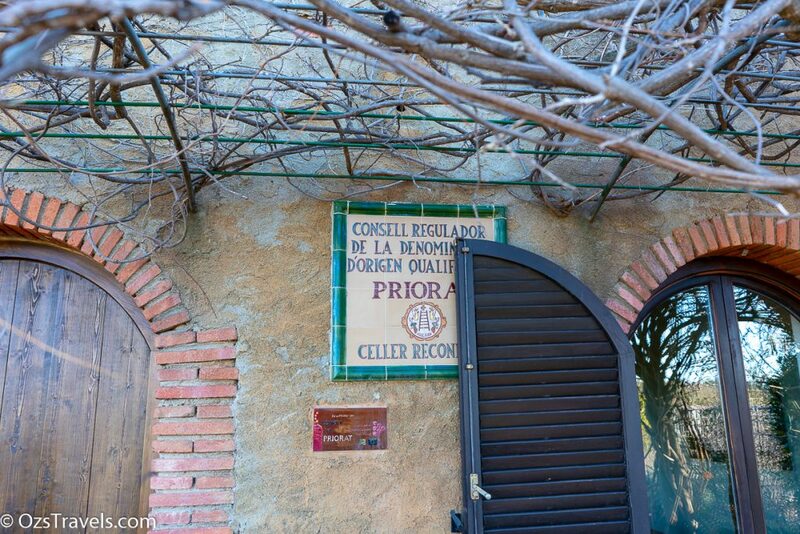 All of the wine production, including blending, bottling and ageing is done onsite at Clos Mogador. 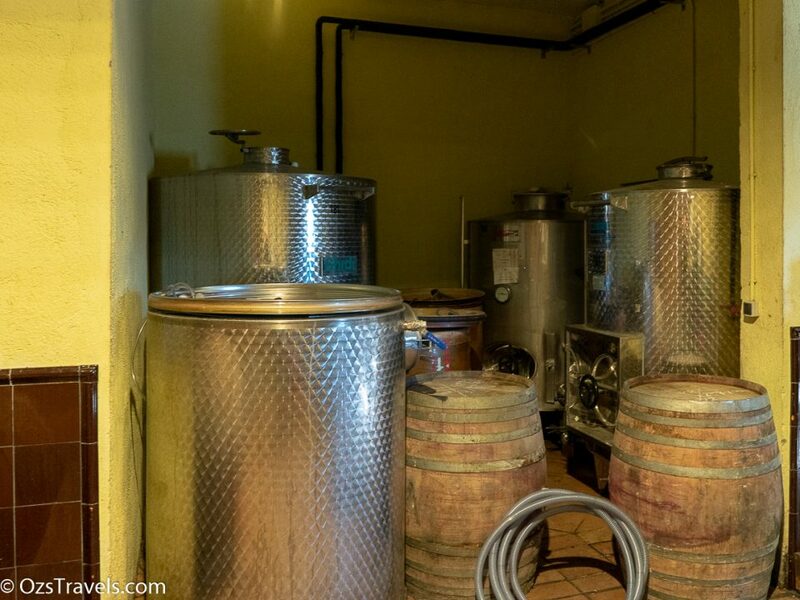 Looks like an efficient operation. 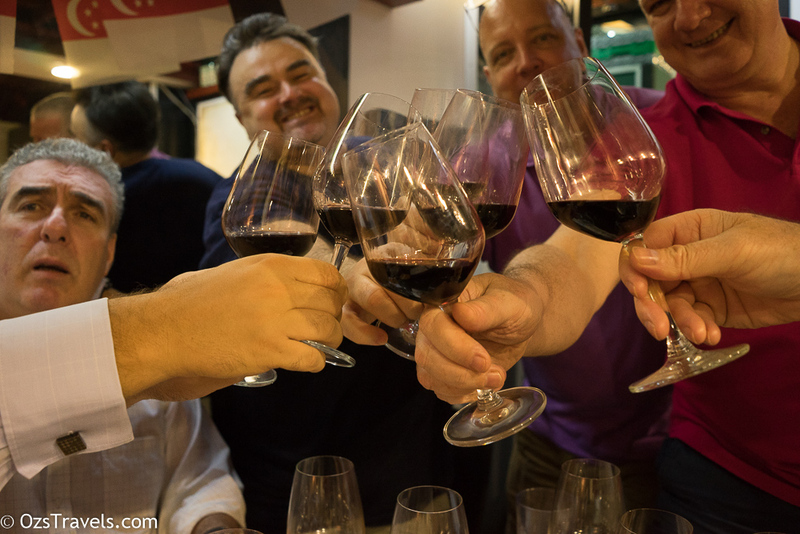 the all things wine and ritual madness. 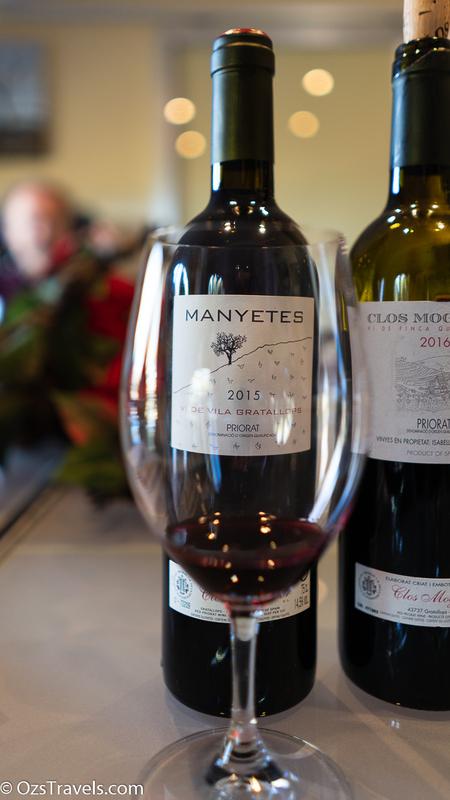 Vivid deep purple crimson in appearance with a pleasant medium-bodied nose of cherry, raspberry, black pepper and clove aromas. The palate is complex with mineral and wild-berry flavours, dry savoury tannins and a medium finish. 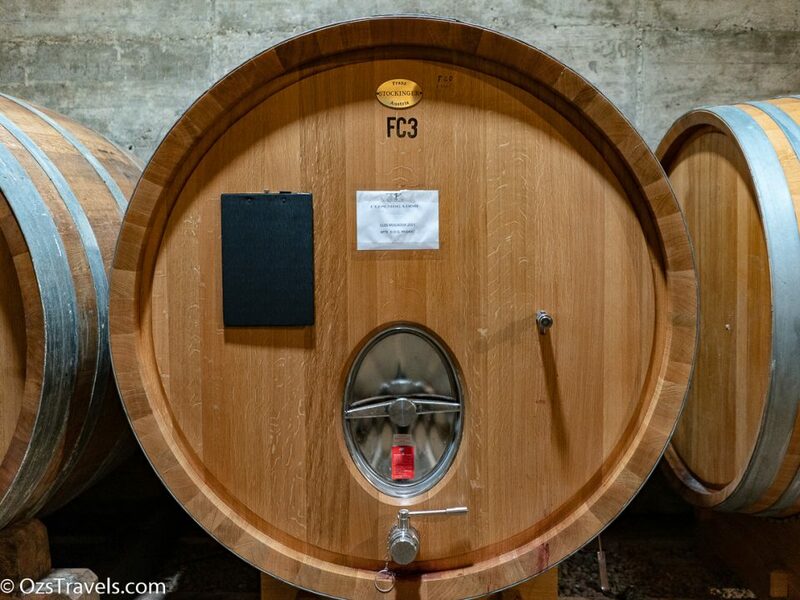 This needs time to open up, recommend decanting around 20 to 30 mins before pouring. IMHO, it is a food wine, would be good with tasty red meat dishes. 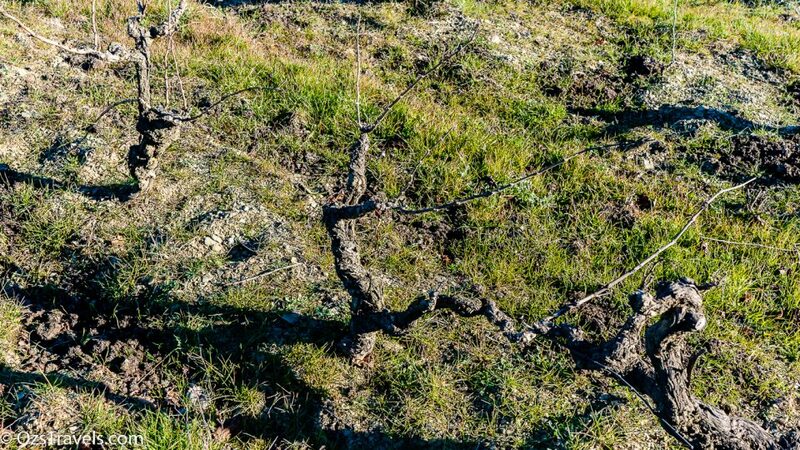 Would like to see how this evolves with a few years of age. 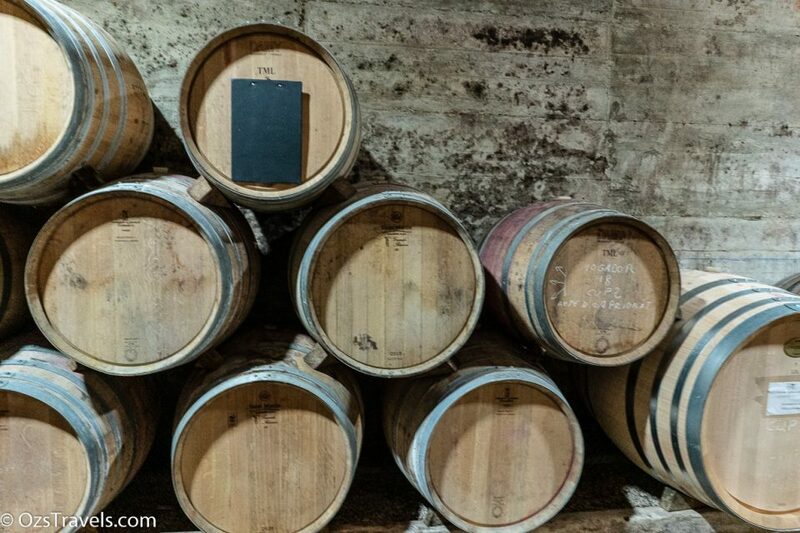 Vibrant deep magenta in appearance with a pleasant reserved nose of plum, blackberry and dried fig aromas. 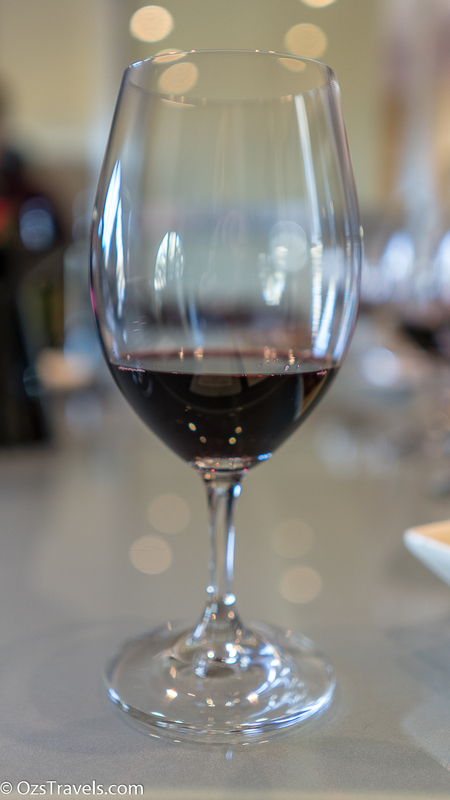 The medium-bodied palate is balanced with soft structured tannins and a slightly sweet medium to long finish. 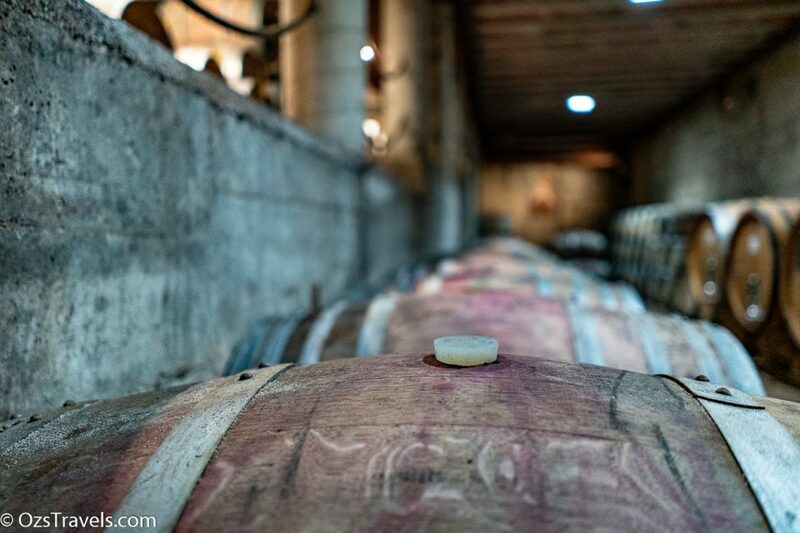 As it is still young, IMHO, decanting this before drinking would be a good idea, give it 20 to 30 mins before pouring. 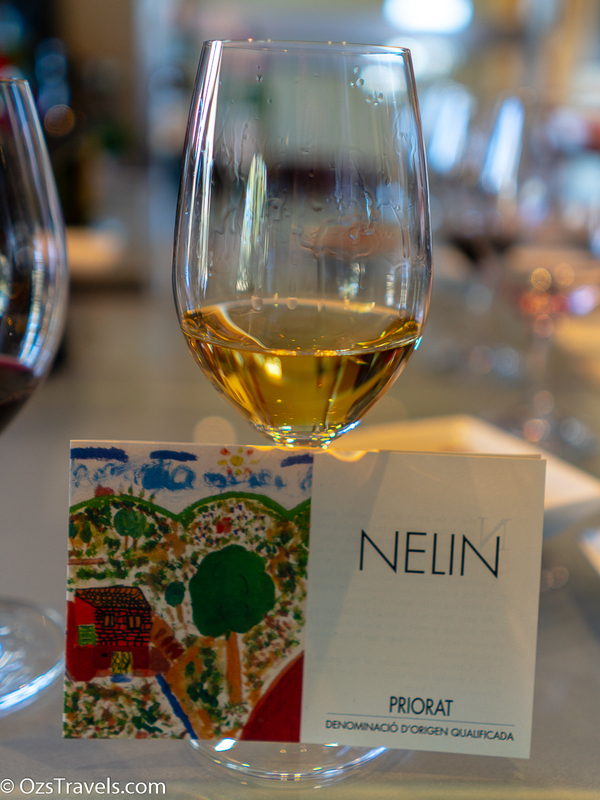 I really enjoyed this wine, looking forwarding to trying this in a few years. 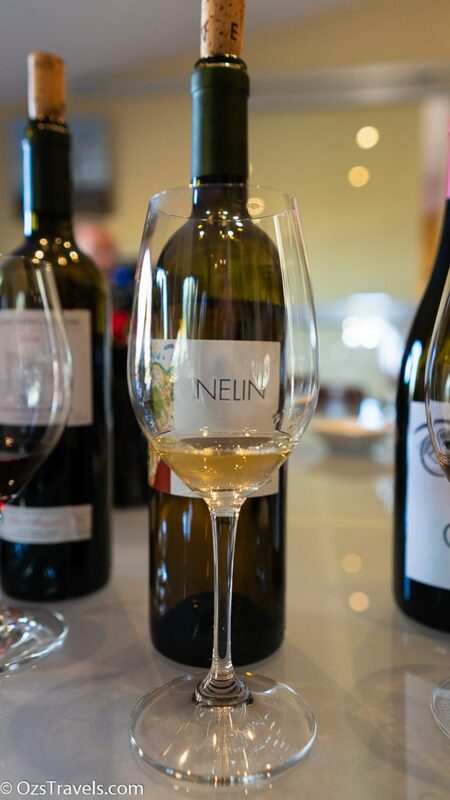 Bright medium-deep golden straw in appearance with an enjoyable nose of lemon, biscuit and oak / vanilla aromas. 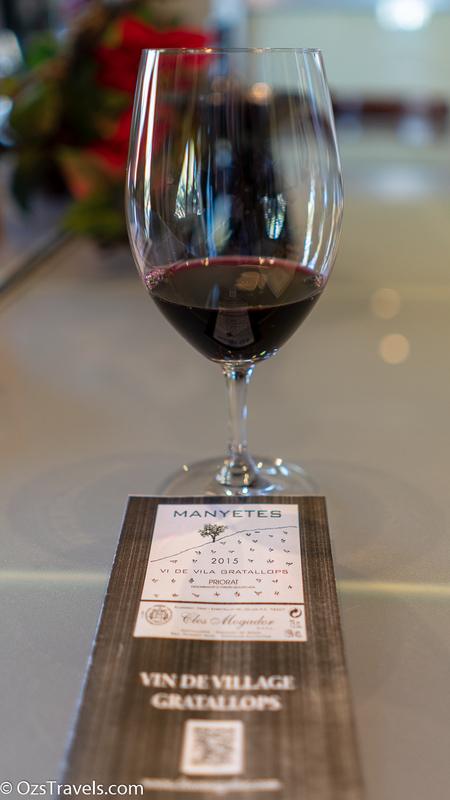 The energetic palate is nuanced and balanced with mineral and floral flavours and a medium finish. 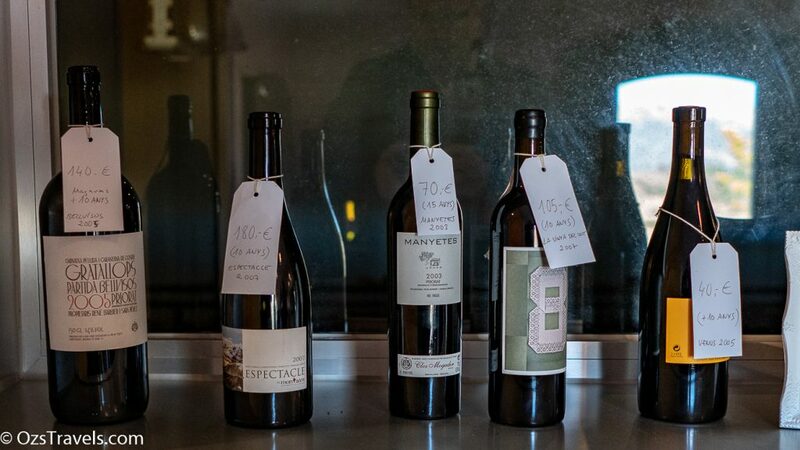 Great wine, loved it. 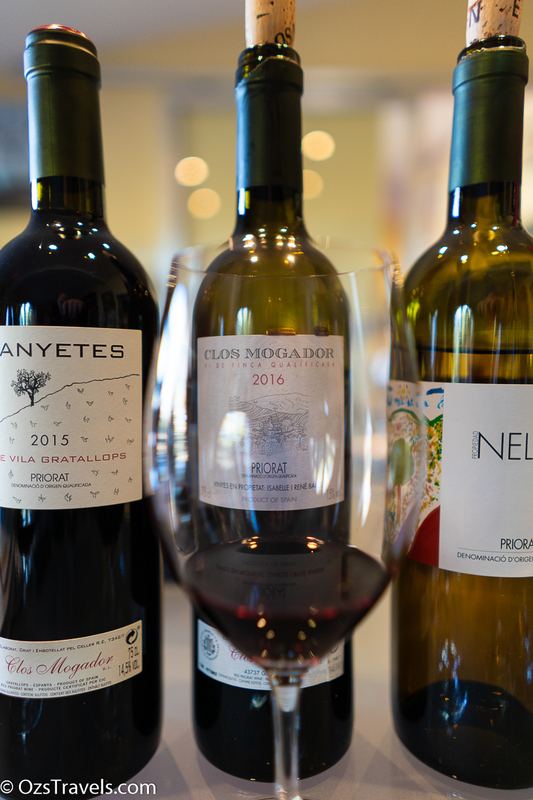 The White Grenance would make it a good pairing for Spanish cheese and with seafood. 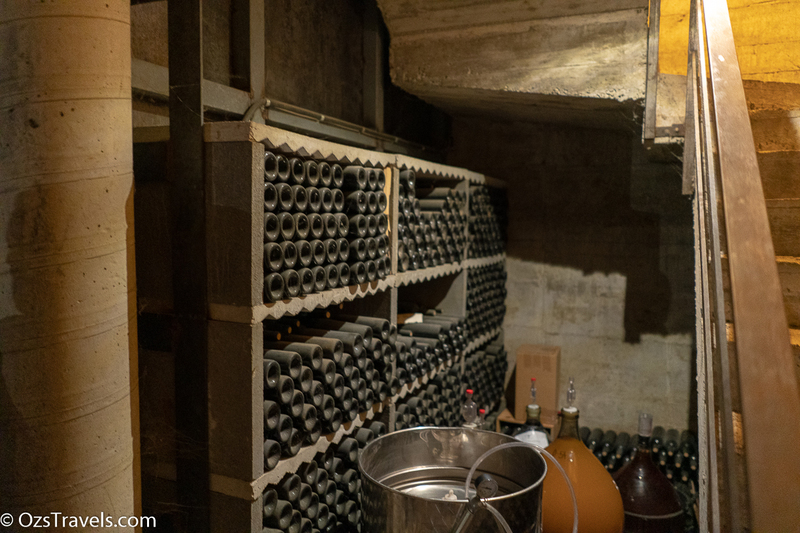 Hope to get my hands on a few more bottles. 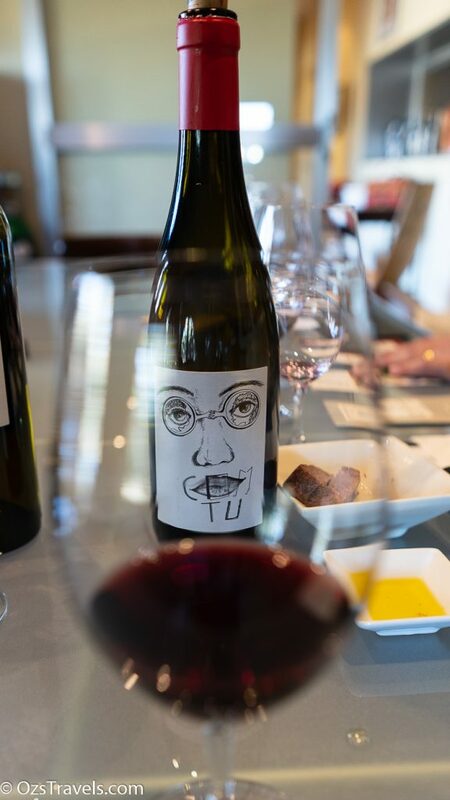 Vivid deep garnet with red brick edges in appearance with a pleasant complex nose of red berry, cherry, eucalypt and a touch of liquorice aromas. 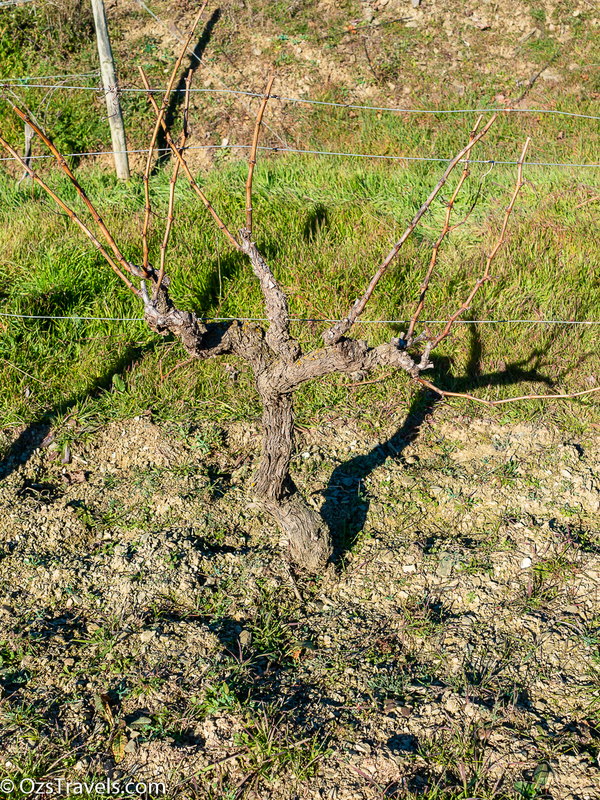 The medium-bodied, slightly tart palate is complex with herbal and mineral flavours, firm savoury tannins and a medium to long finish. 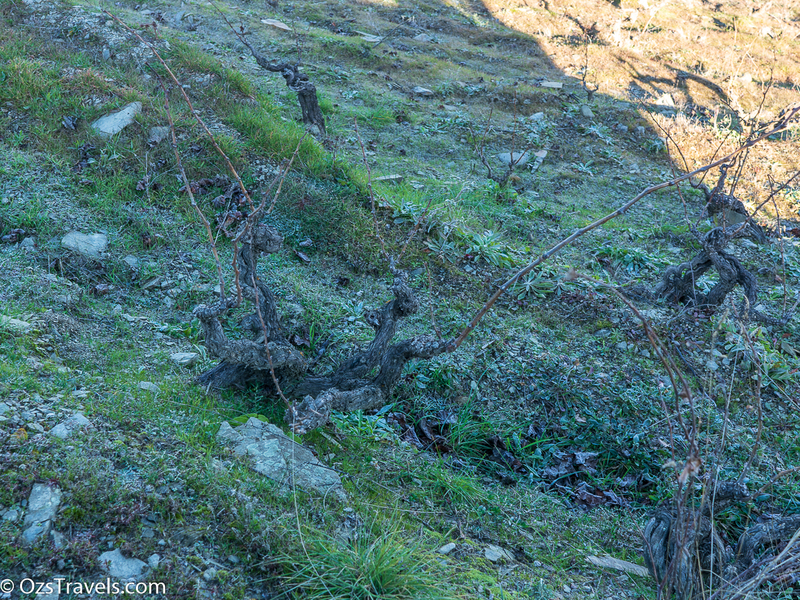 A nice wine, needs a bit of time to evolve and soften the tannins. 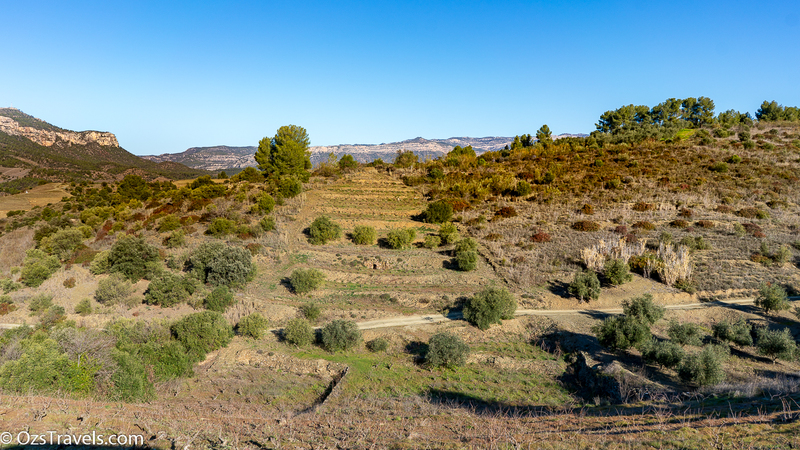 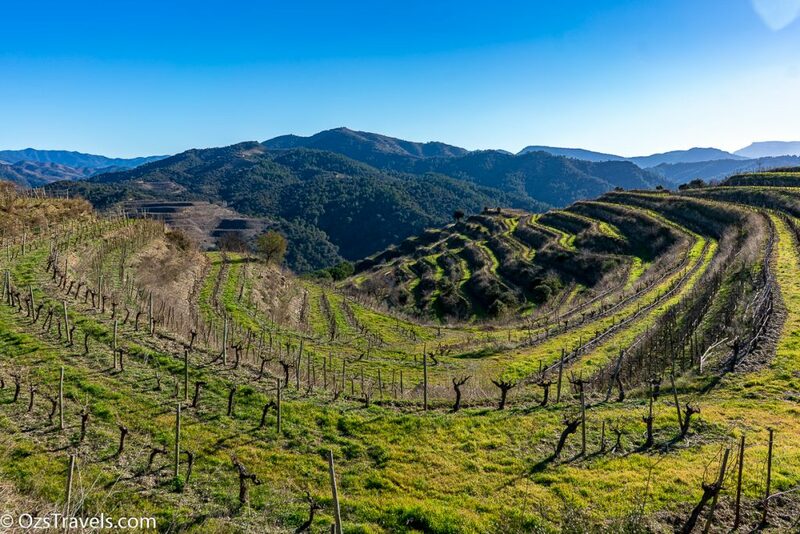 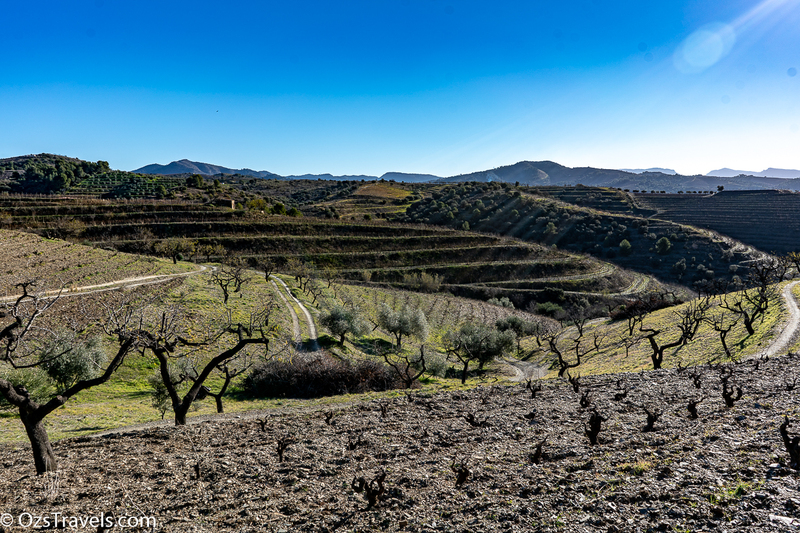 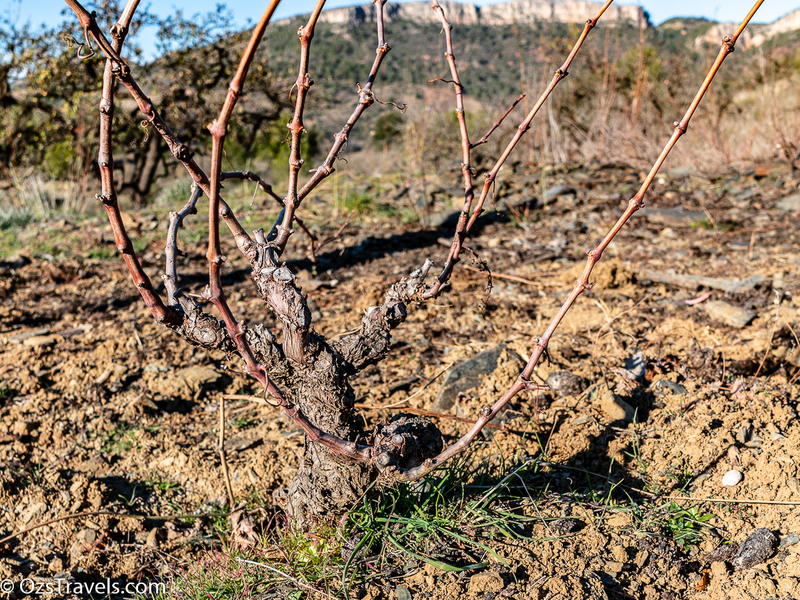 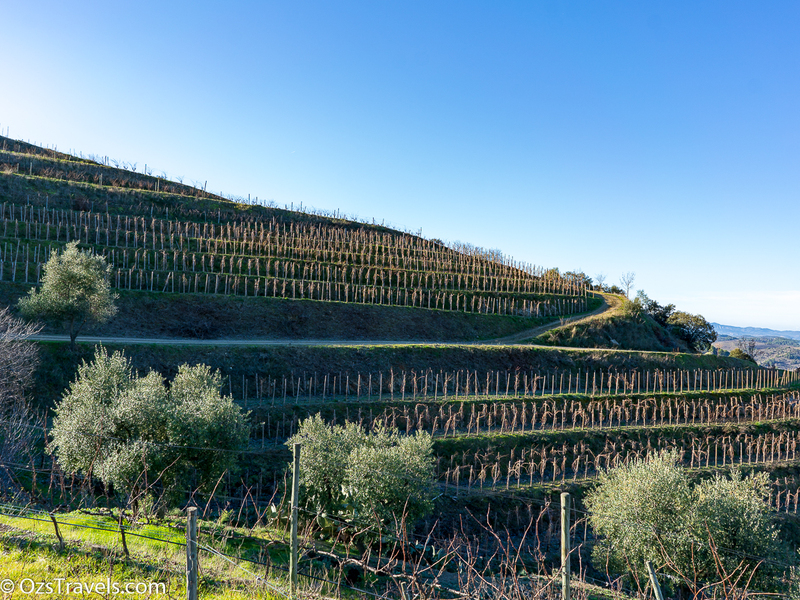 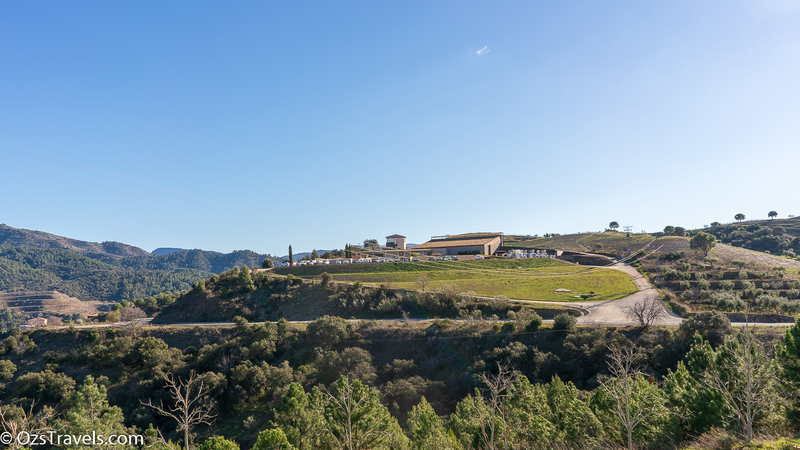 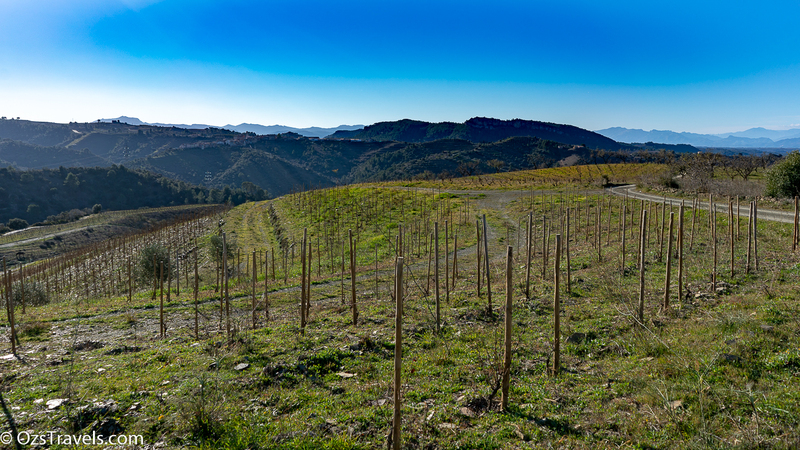 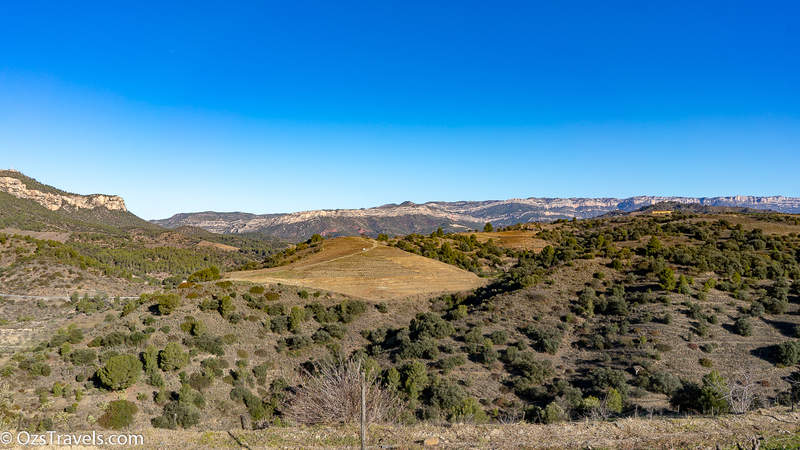 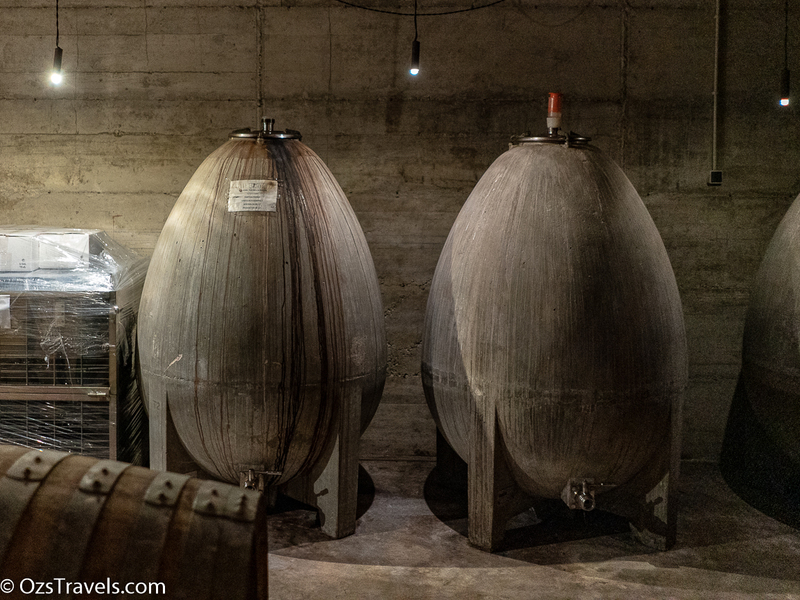 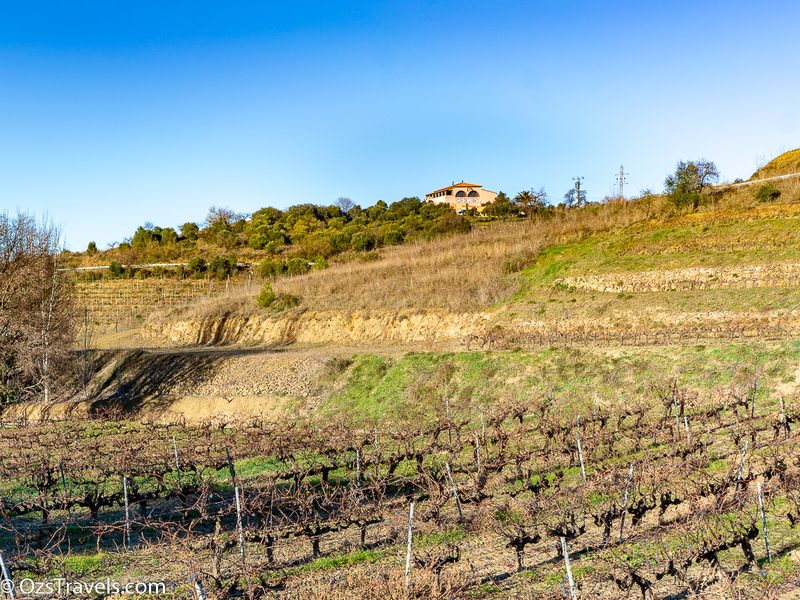 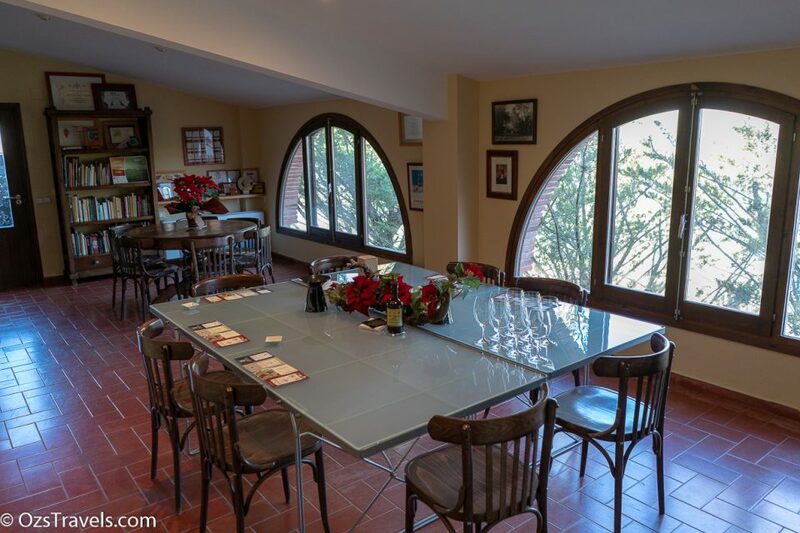 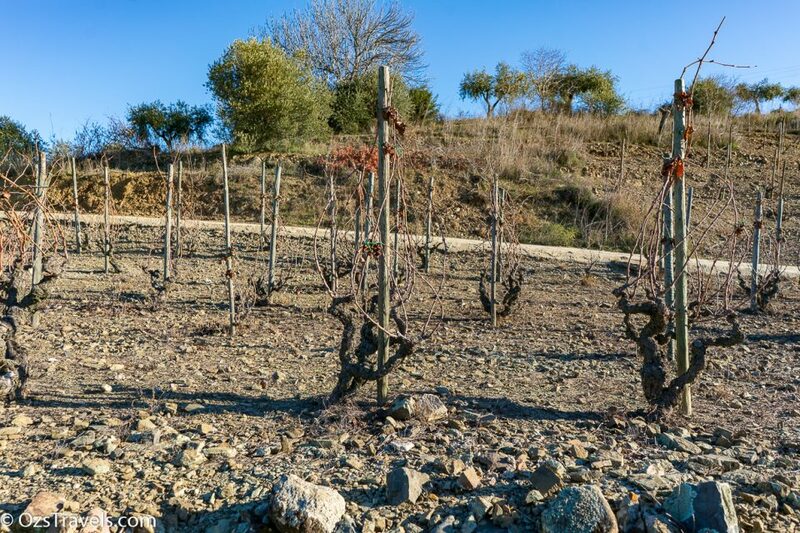 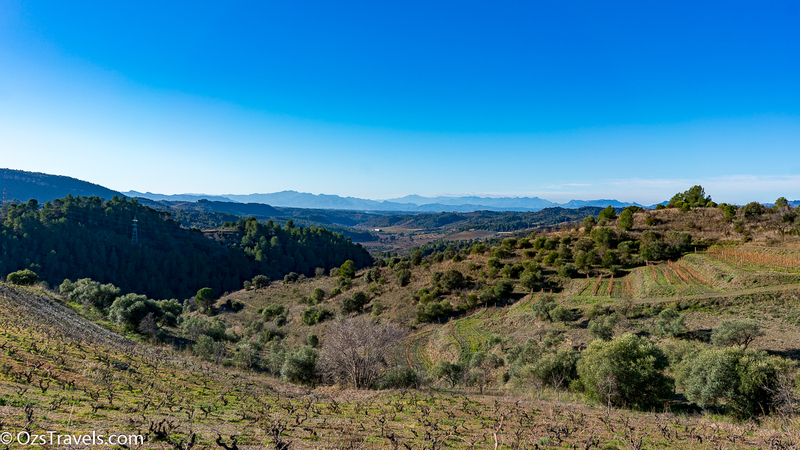 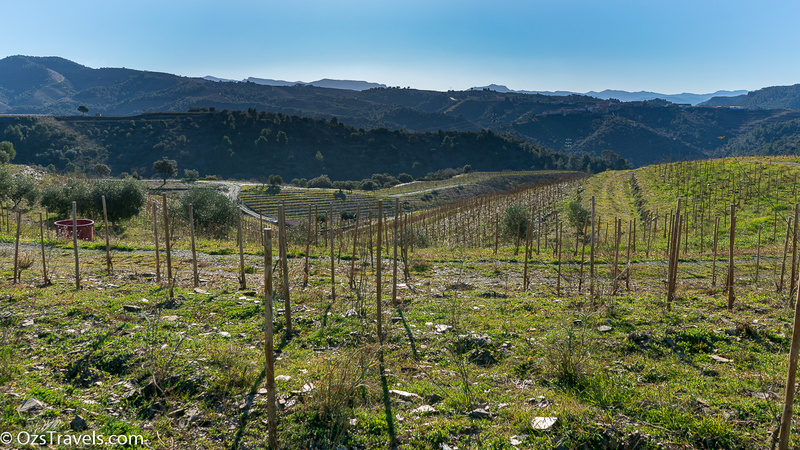 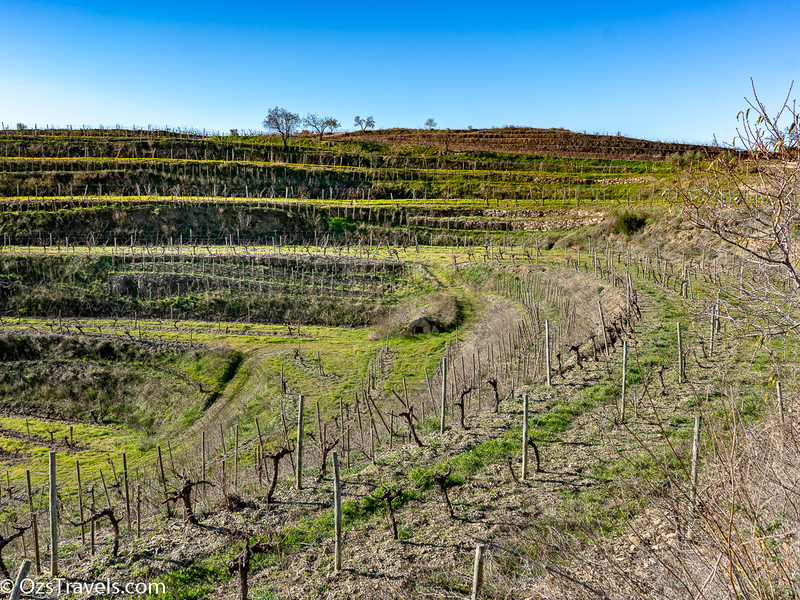 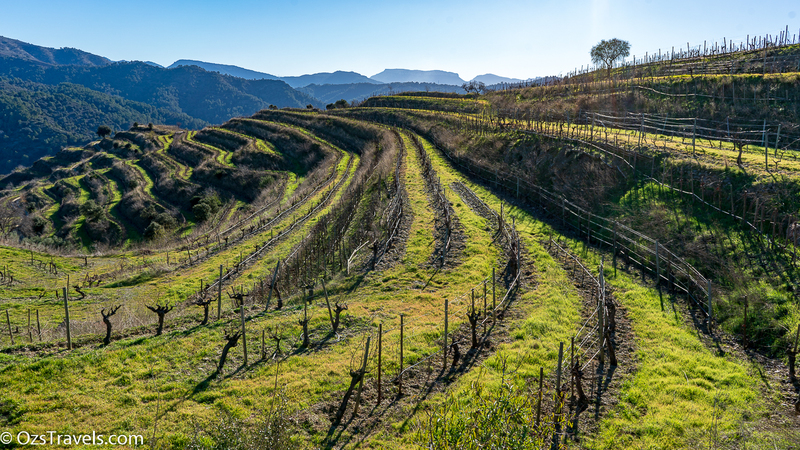 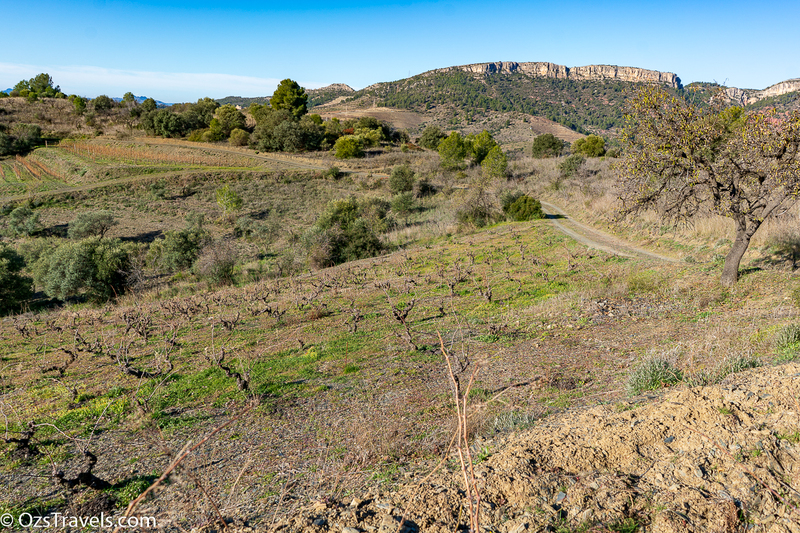 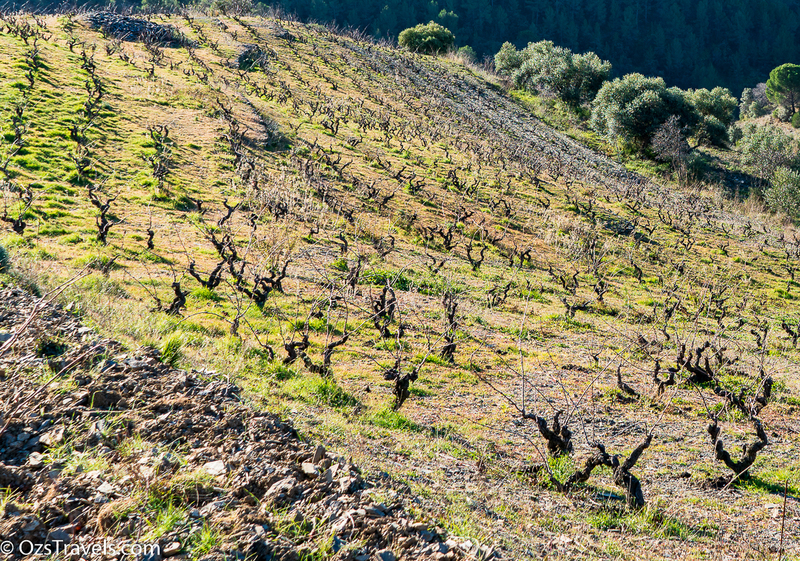 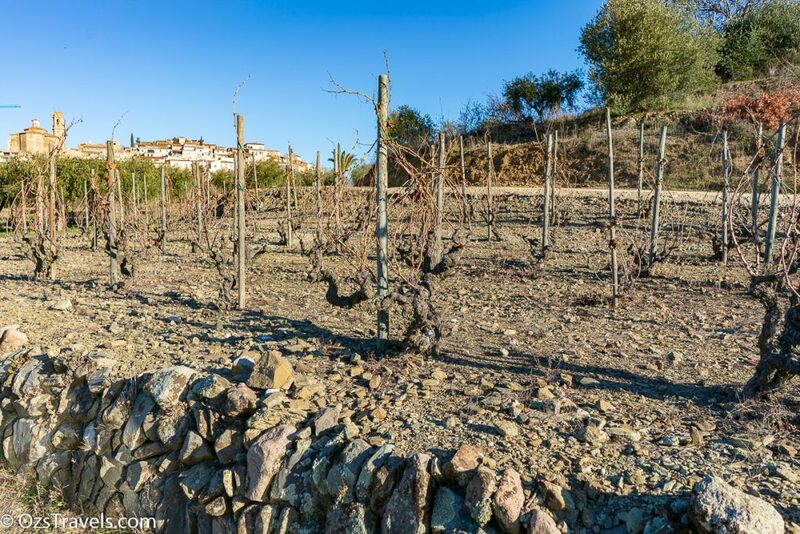 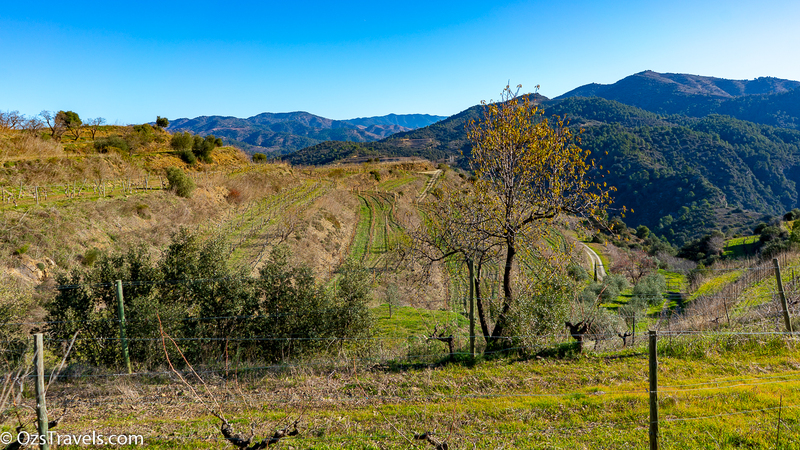 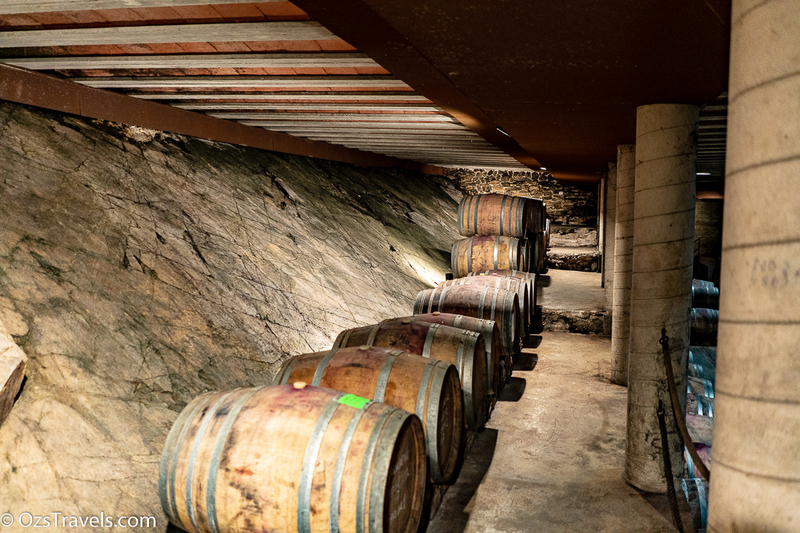 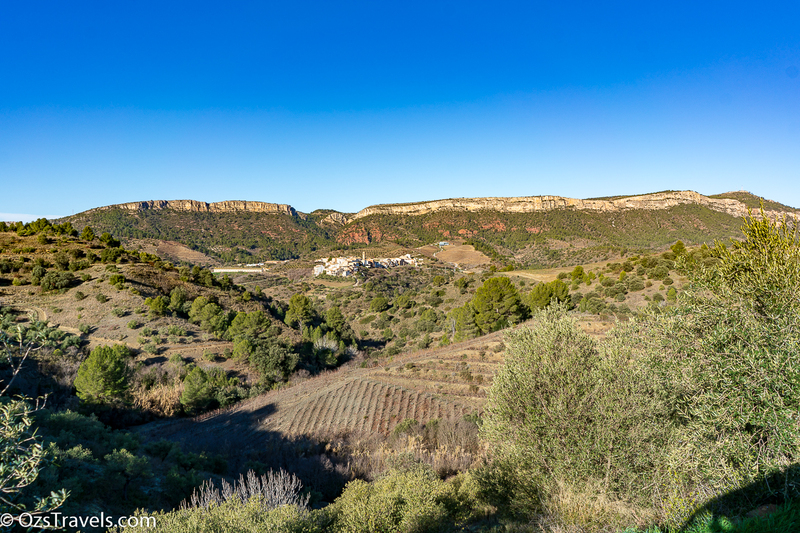 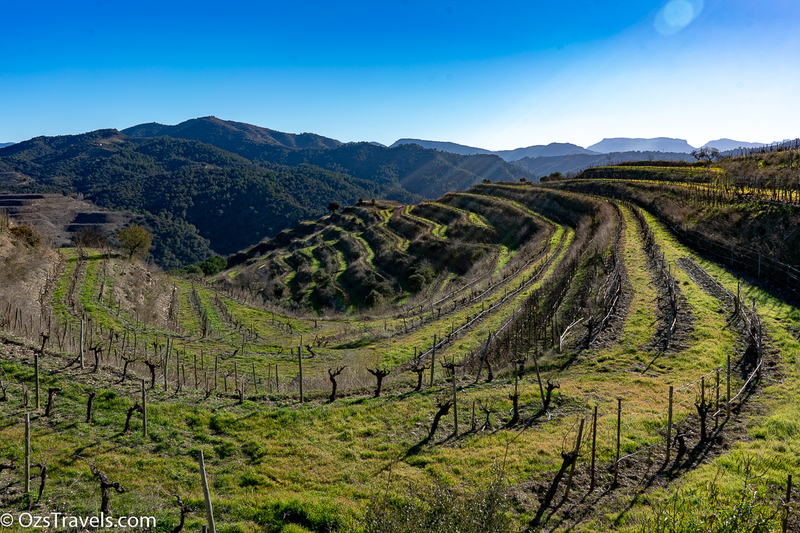 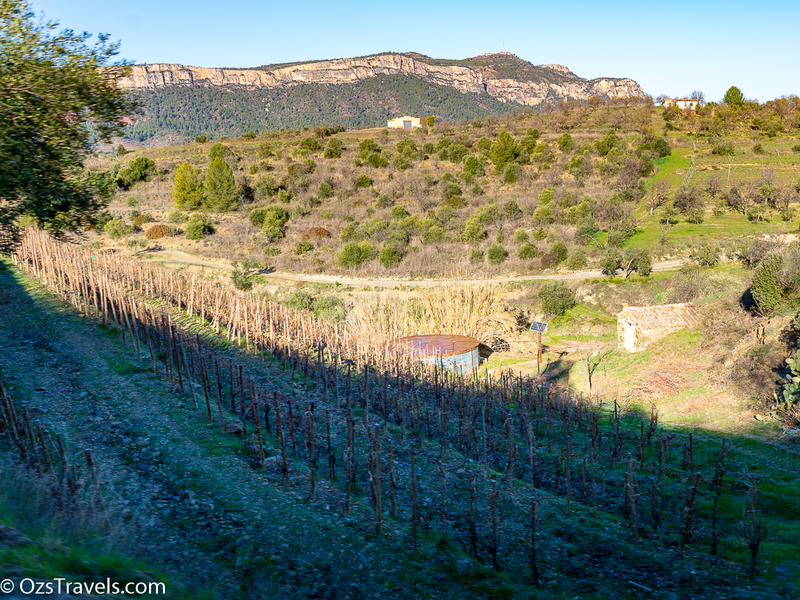 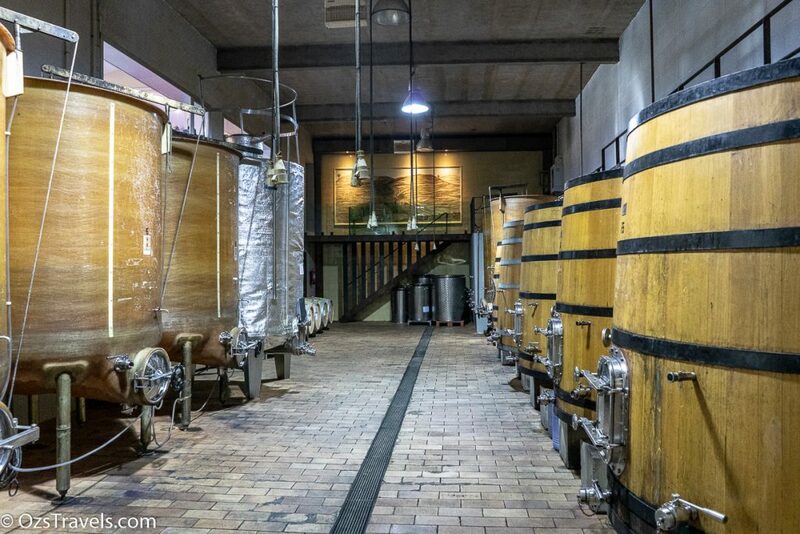 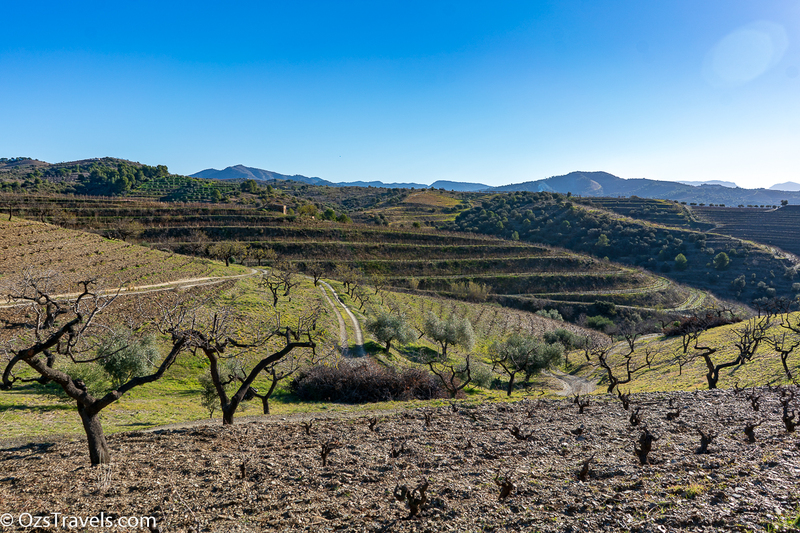 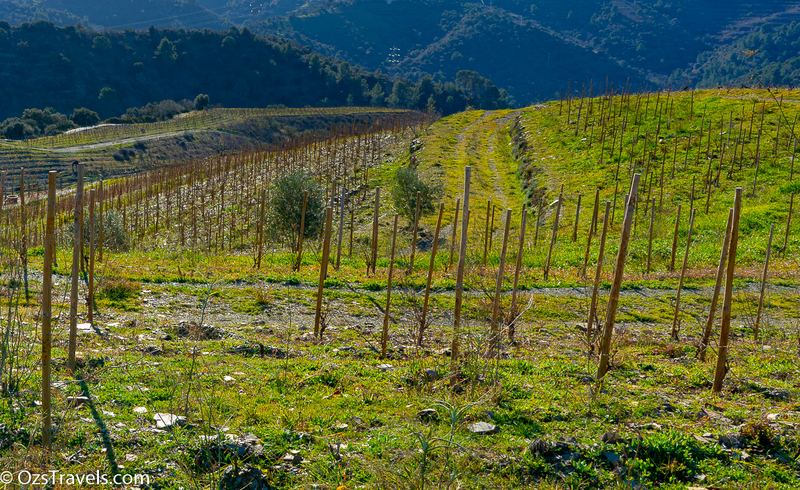 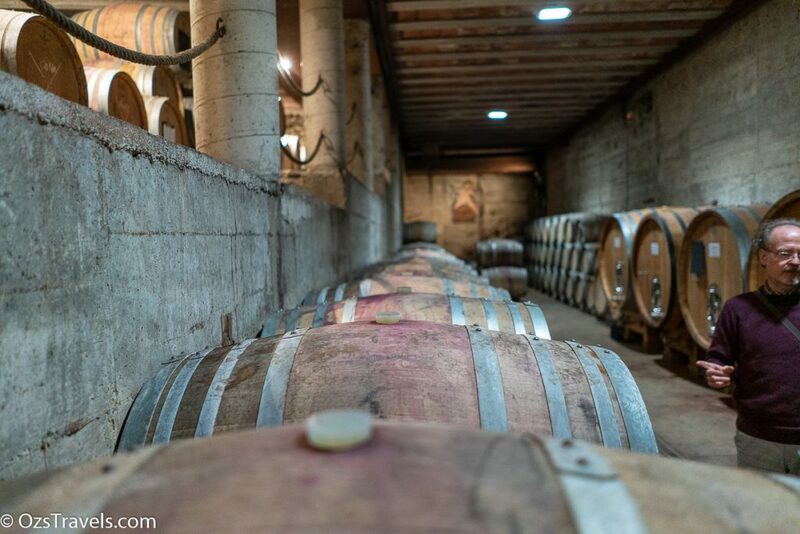 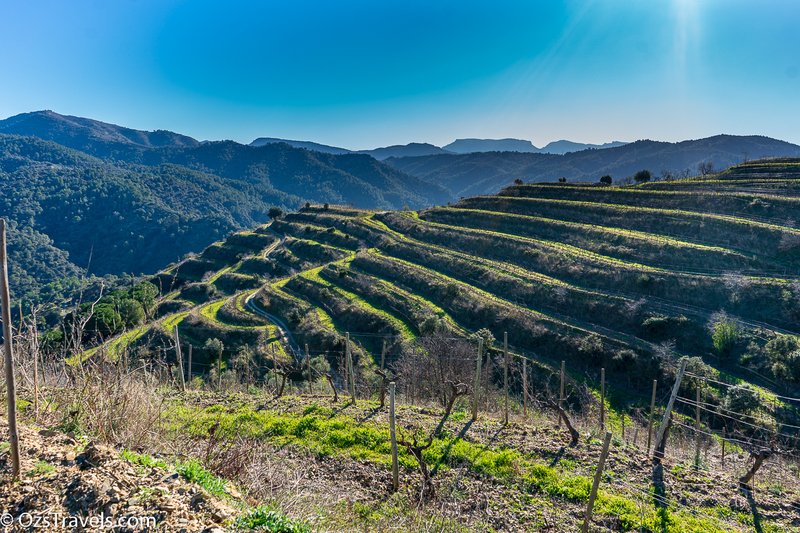 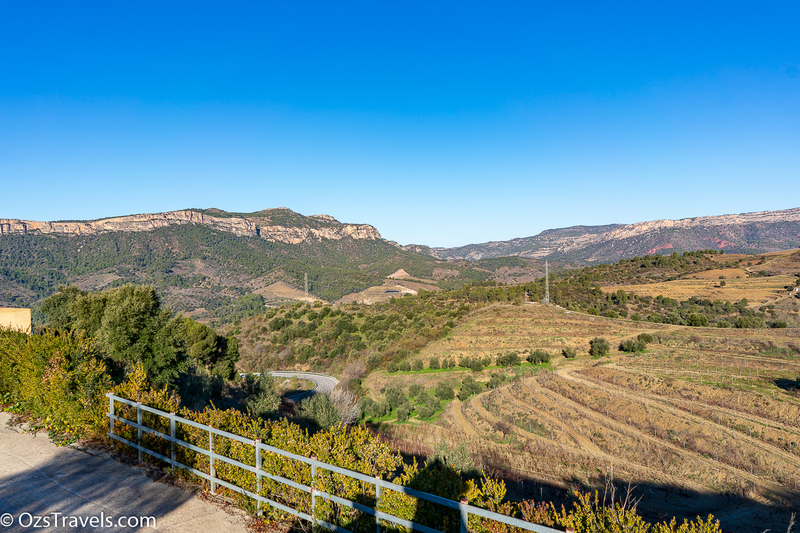 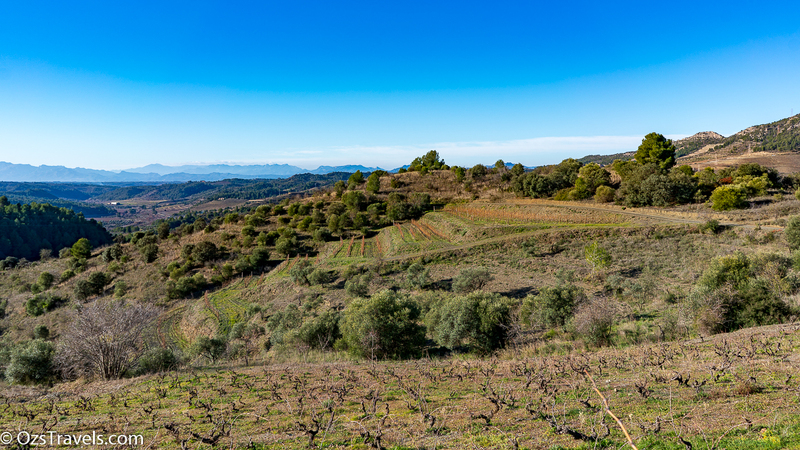 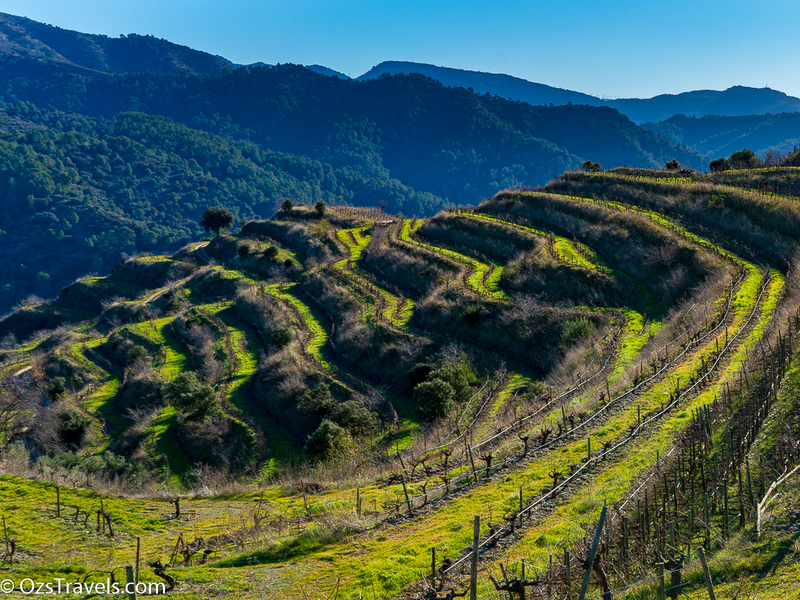 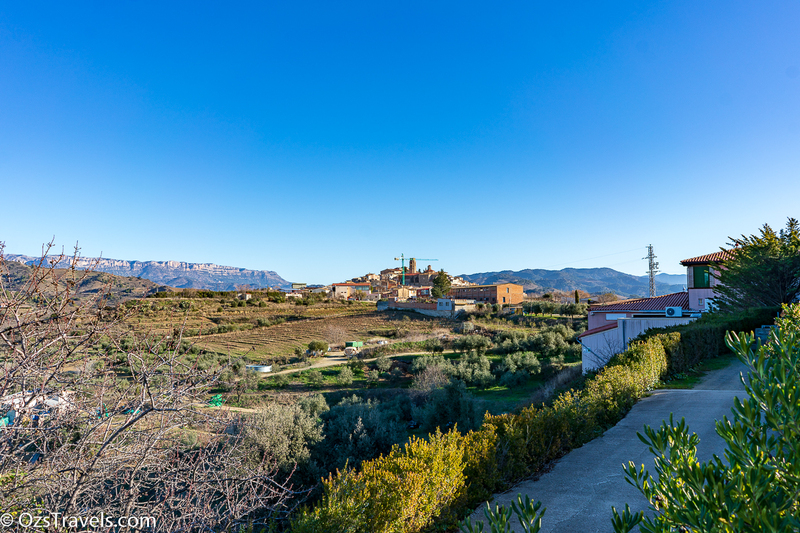 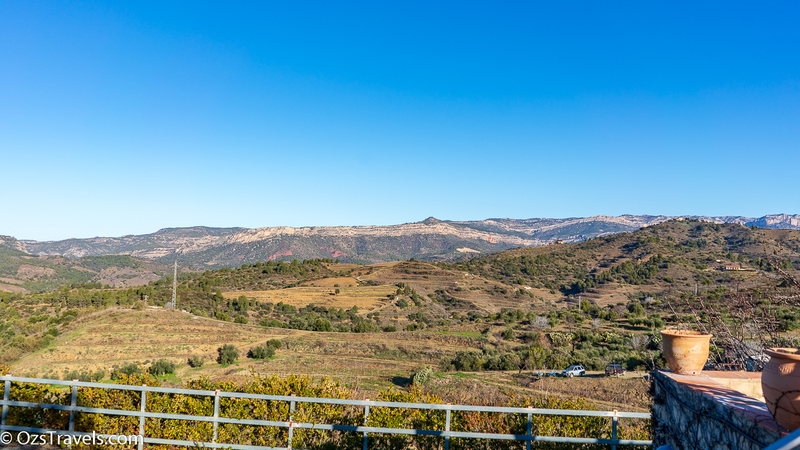 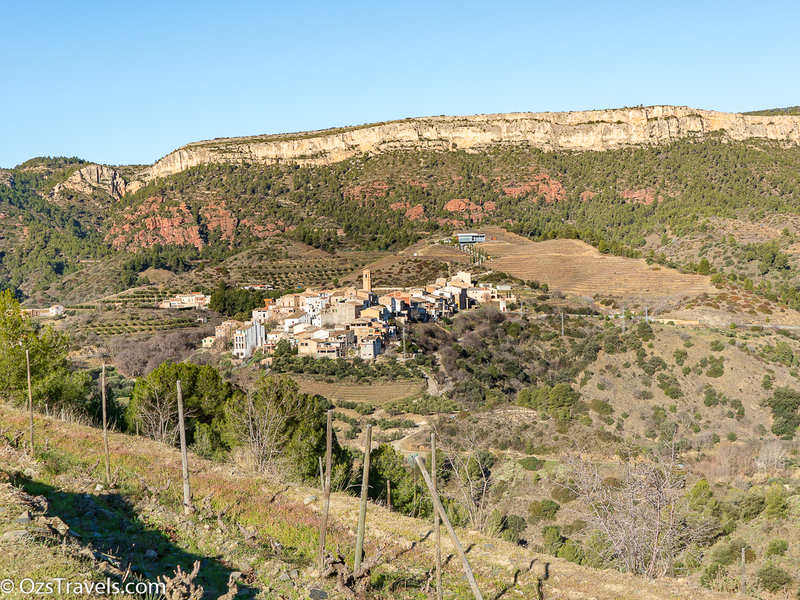 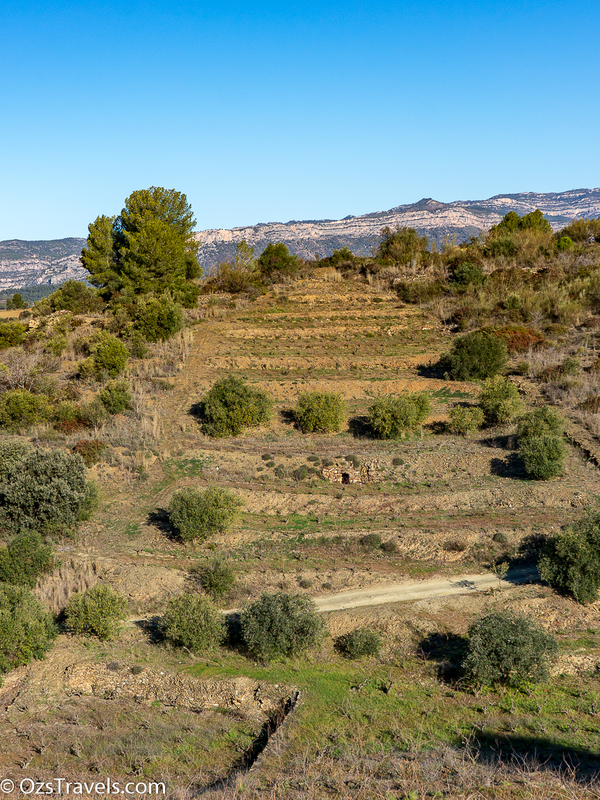 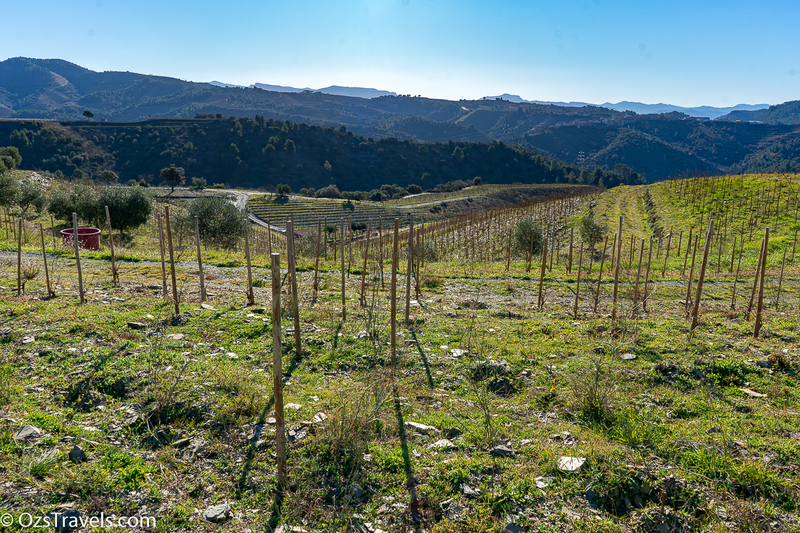 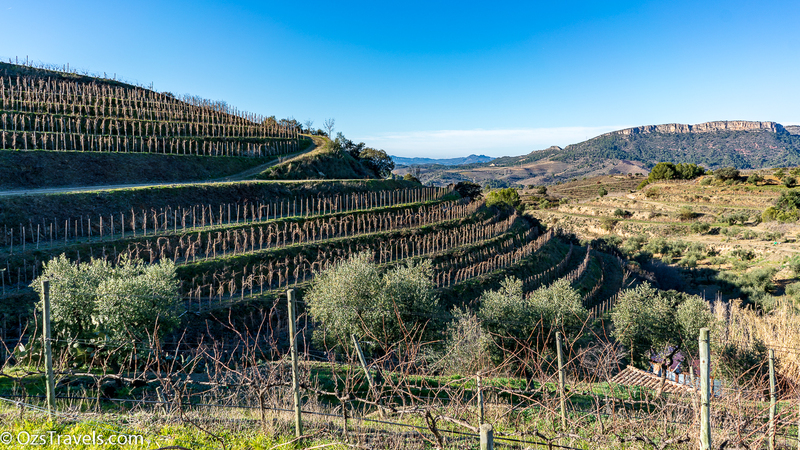 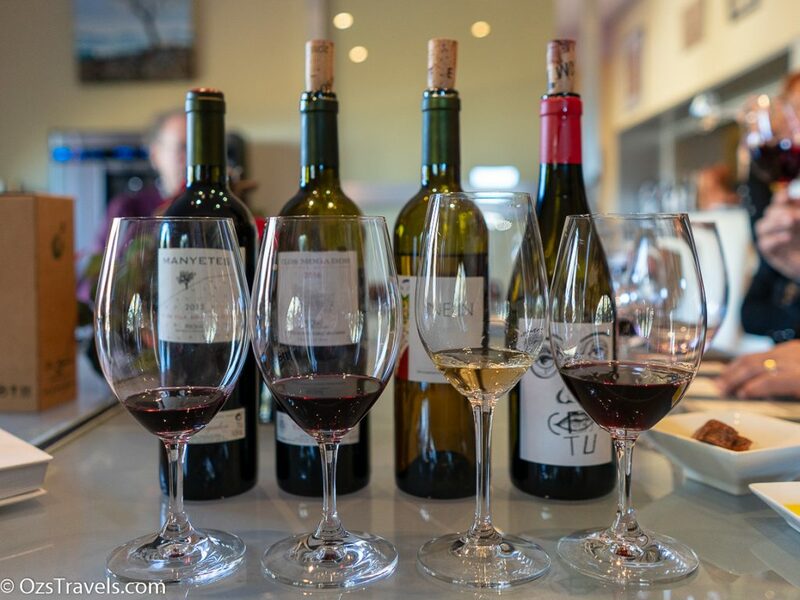 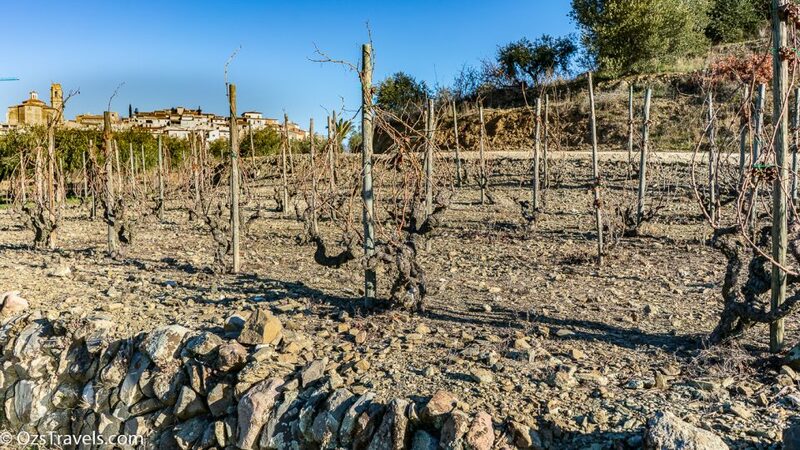 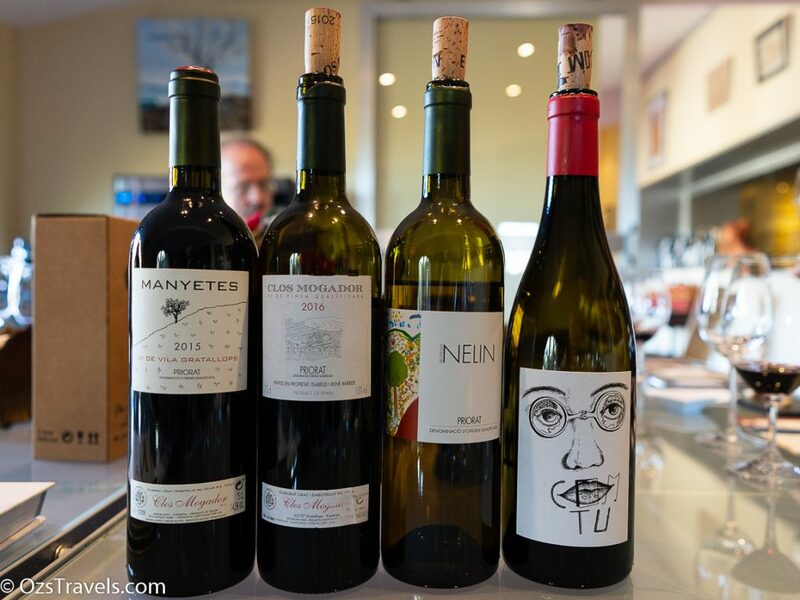 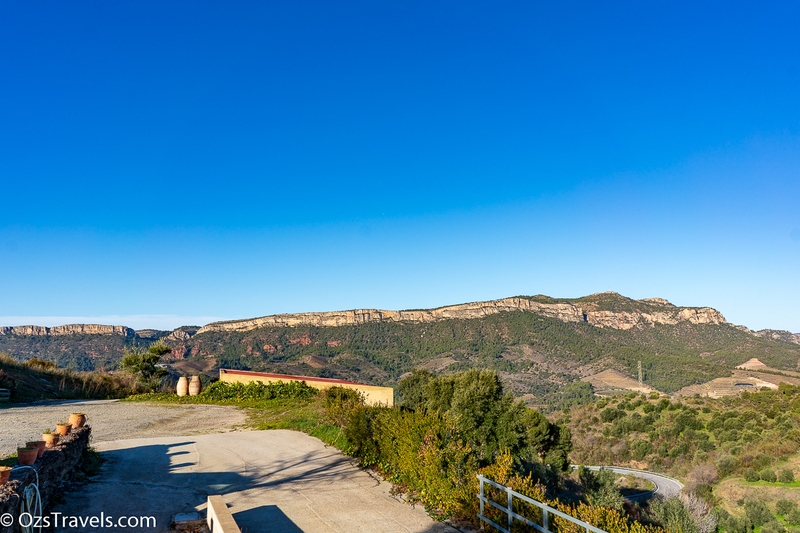 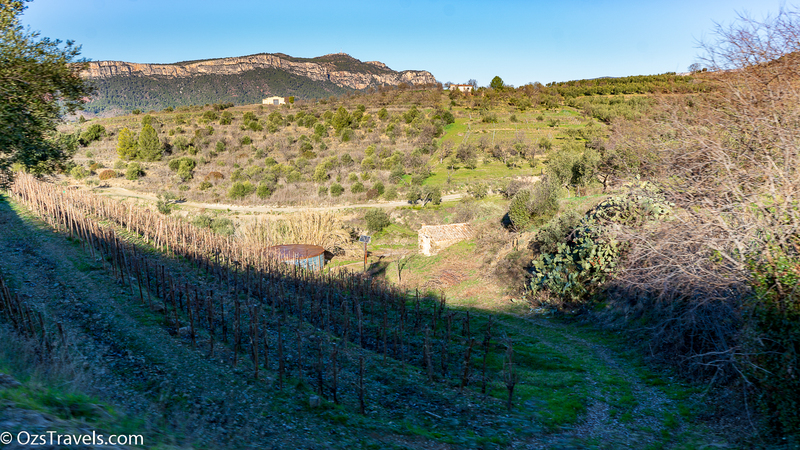 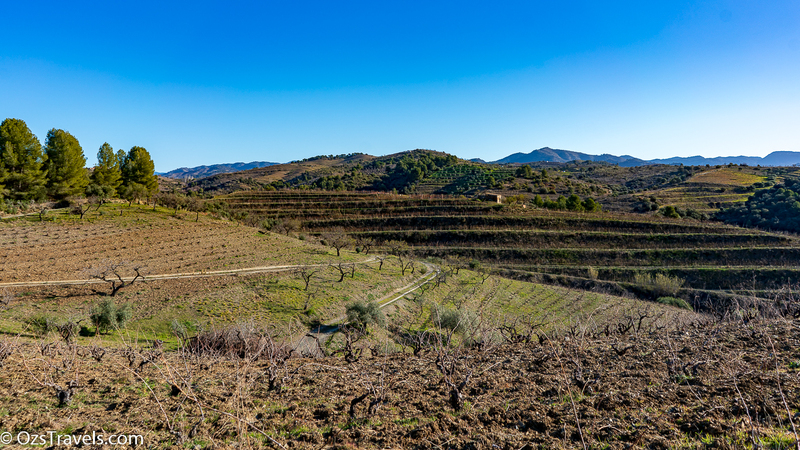 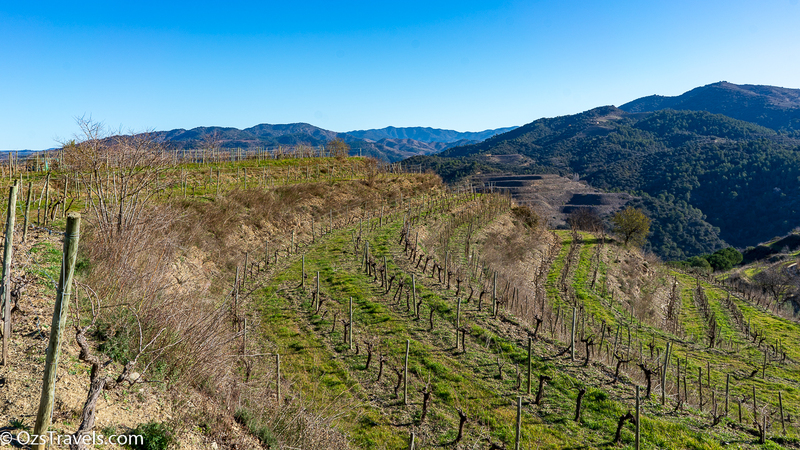 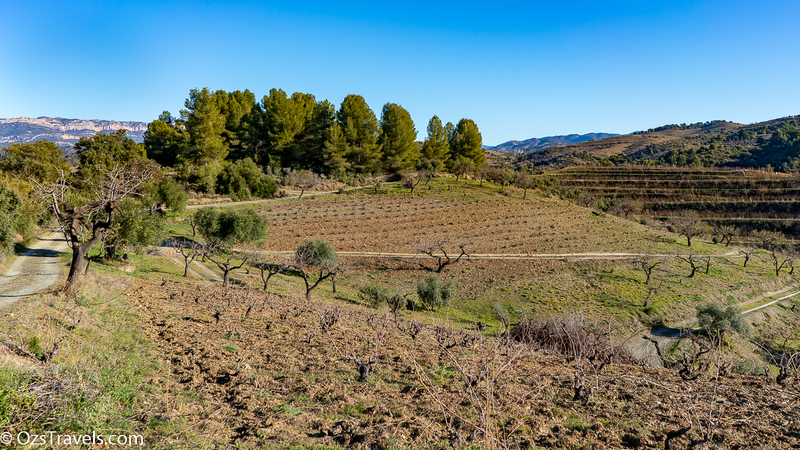 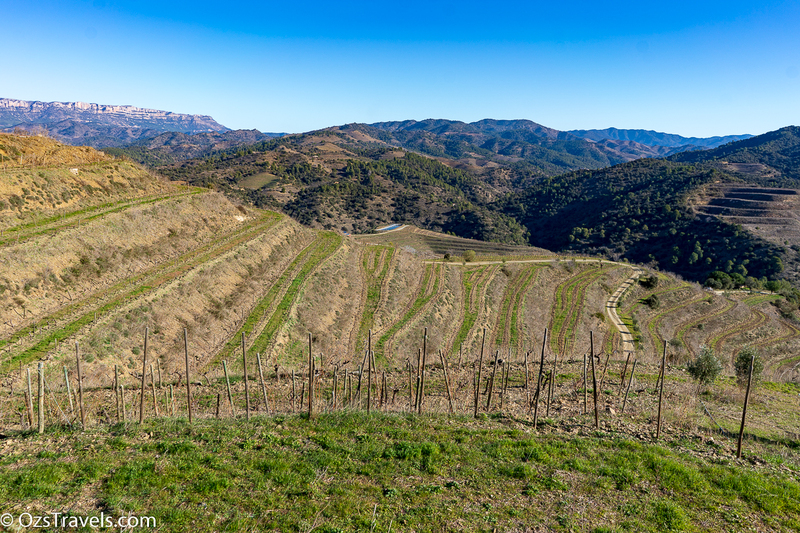 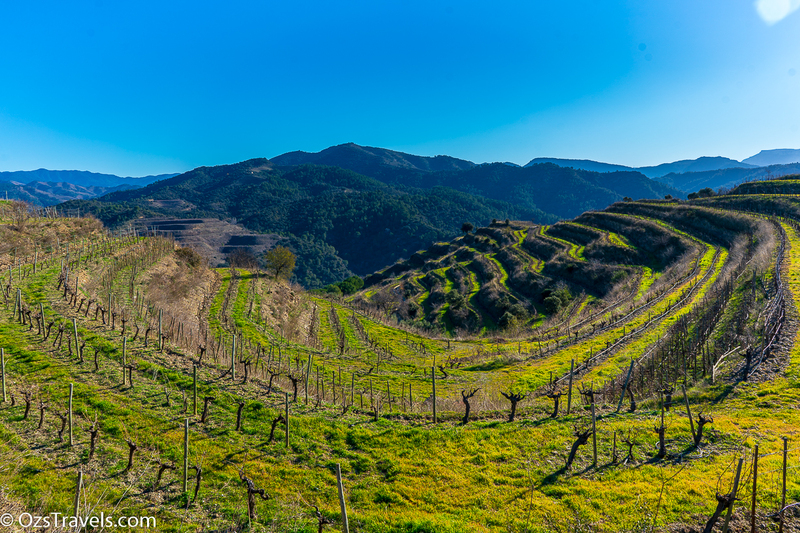 If you are wine lover, like landscape vistas or both like me Priorat is definitely a region to visit if in the area and Clos Mogador should be at the top of your itinerary. 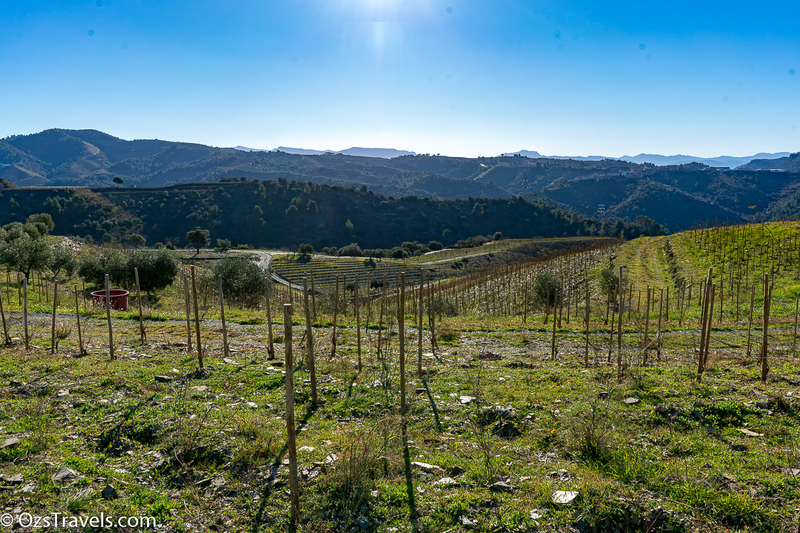 A tour of the vineyard is well worth the time, not sure how enjoyable it would be when the weather is warmer. 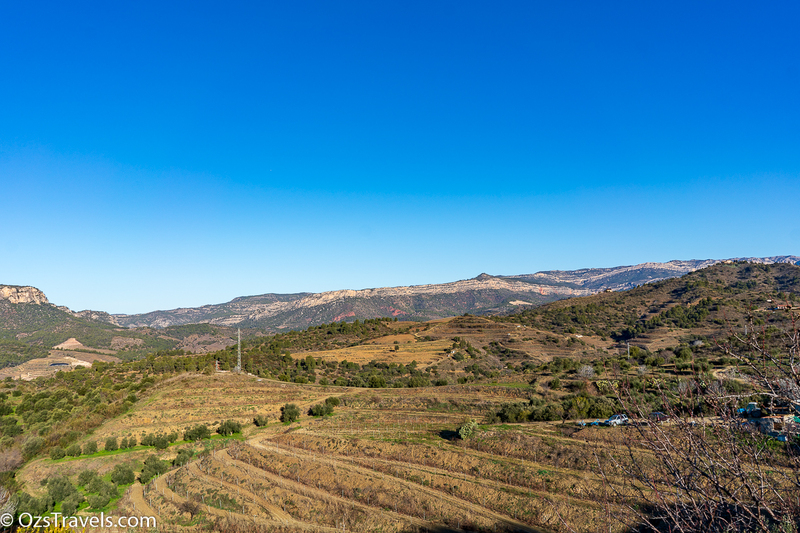 Encarna of Sitges Leisure arranged the tour for us, including a very comfortable Audi A6 driven by another Joseph, to take us from Sitges and around Priorat. Would recommend them if you are looking for tours in and around the Sitges, Spain.